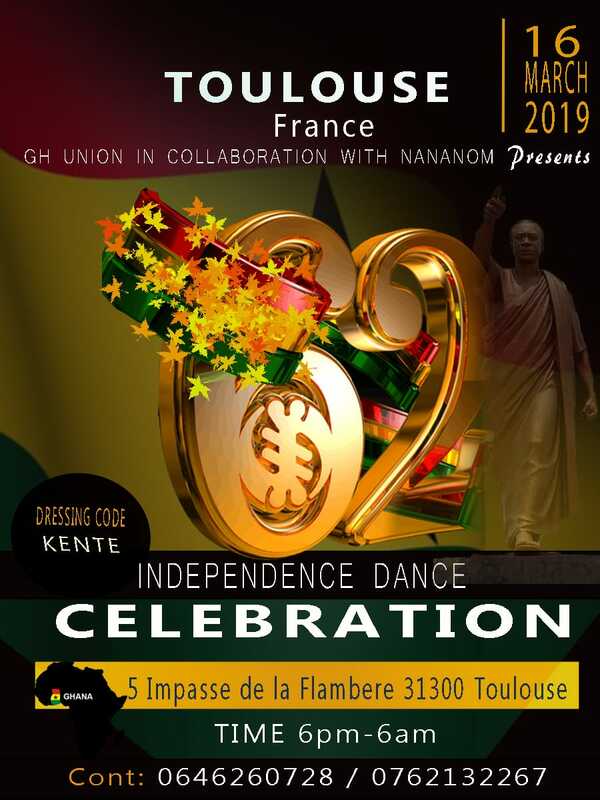 In 2019, come and celebrate the Independence of Ghana in Paris, Lyon and Toulouse ! 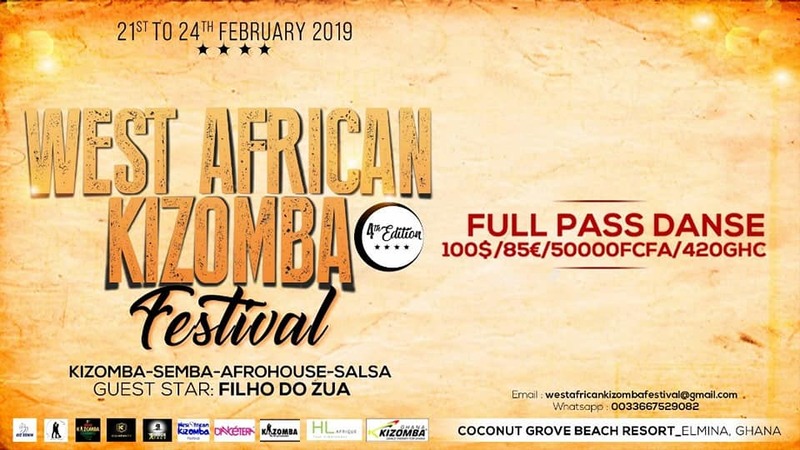 20-24 February 2019 - Friends of dance, welcome to the 1er West African Kizomba Festival held in Ghana ! 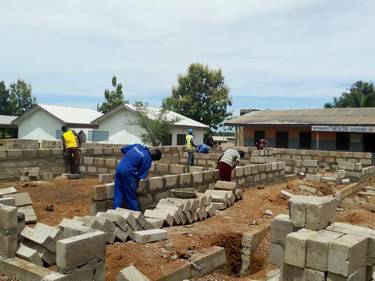 November - Expansion of the Health Center is progressing well in Tetrefu ! And if you wanrt to know more about the project, please click here. High level for the opening of Joe BIG-BIG exhibition ! 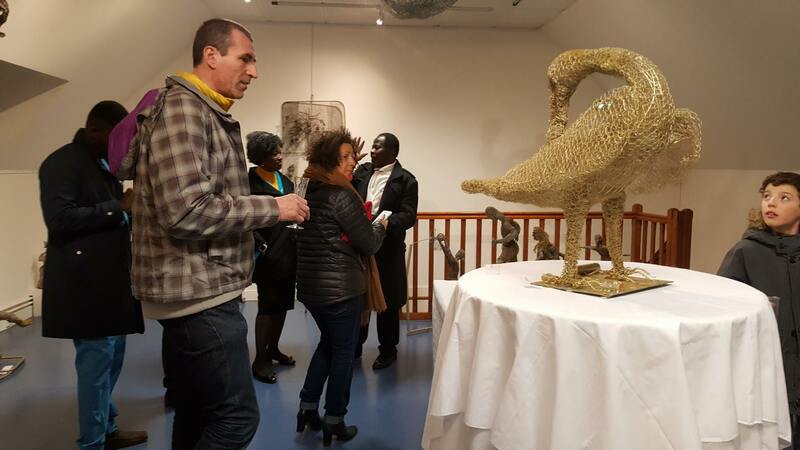 Her Excellency Anna Bossman, Ghana Embassador in France, and the Mayor of Montigny-le-Bretonneux Jean-Luc Ourgaud, attended the event and praised the talent of the artist. From 9 to 18 March 2018 at the Maison Félix in Montigny-le-Bretonneux (78), SANKOFA presents Joe Big-Big, an internationally renowned Franco-Ghanaian sculptor. 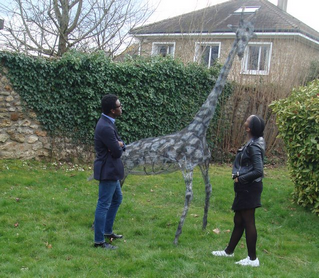 Born in Ghana in 1961, Joseph Adjzobah Ghattaba, known as Joe Big-Big, lives and works in the Paris region. After studying sculpture, clay, wood, stone, but also casting and casting techniques at the Kumasi College of Art in Ghana, he chose to work with metal from 1996 onwards. He calls it "a symbol of human labor, of simple, humble material, from the everyday life of men". The first statuettes progressed into monumental works. "I loved making big sculptures, so big that it earned me the nickname of Big-Big." 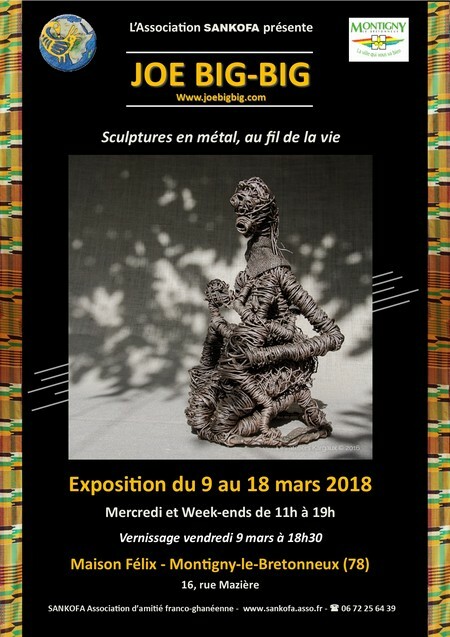 Confirmed artist, Joe Big-Big has exhibited from Niger to China, and in many French cities. In his intertwining of wire, he creates a world in movement, that draws the fine and gray silhouettes, graceful in their iron dresses. 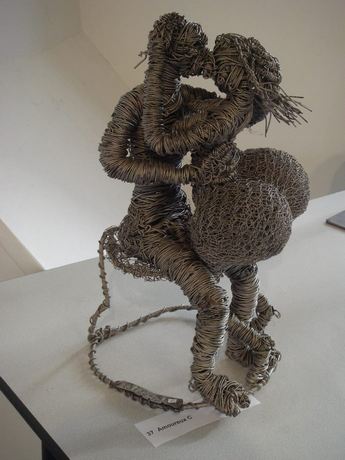 Three turns of wire, two pieces of wire and the art of recycling will evoke the sorrow of the vagabond, as well as the joy of the mother and her child running to school. This form of art is both simple and sophisticated. A world of men, women and children absorbed in everyday, immediate and simple tasks. A world where everything is in movement, according to a millenarian rhythm. SANKOFA 10 years birthday, what a party ! 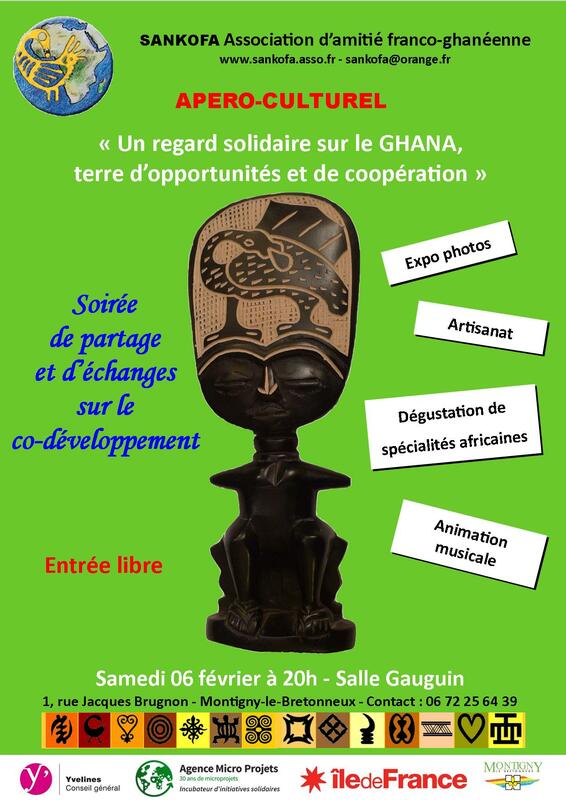 SANKOFA wanted to celebrate this great event by organizing a series of events open to everyone, at the Gauguin Hall in Montigny, on March 18th 2017: graphic workshop and percussion workshop, expo sale by our friends from Ghana Solid'Art, African aperitif, evening party with the musicians and dancers of the Akwaaba troupe, as well as DJ Obed. 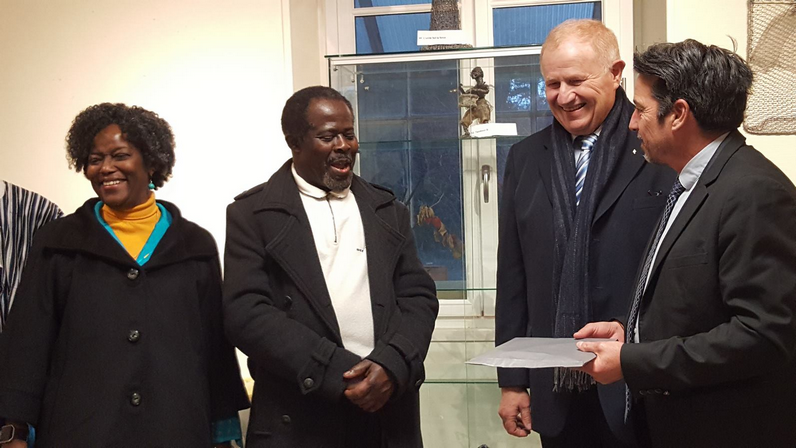 The event was honored by the presence of Ghanaian Consul Timothy Aidoo, YCID President Jean-Marie Tétart and Deputy Mayor of Montigny in charge of Culture José Cachin. 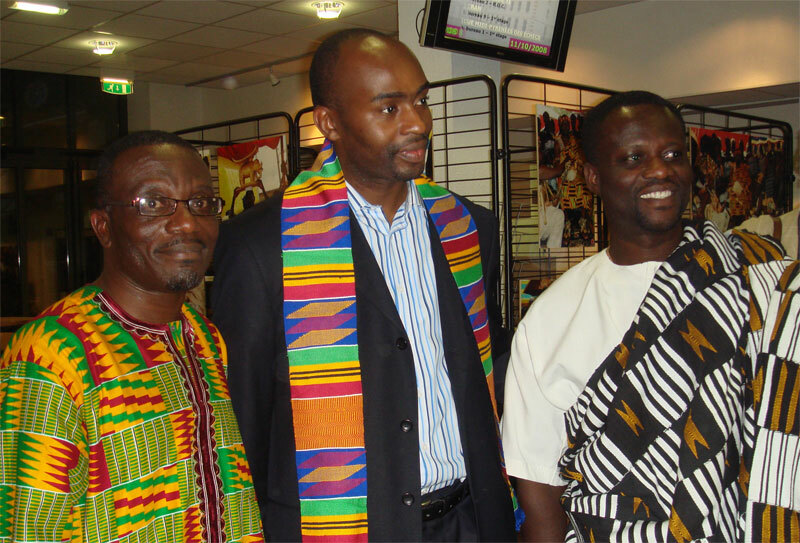 Alfred offered them as a sign of friendship, on behalf of SANKOFA, an art book on Ghana and kente scarves. 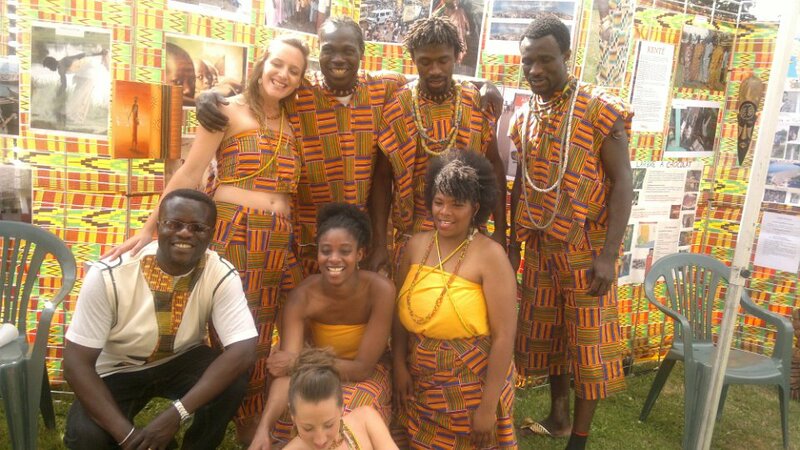 Ghanaians abroad invited to celebrate the 60th anniversary of homeland, a great event ! Nana AKUFO-ADDO, new President of GHANA ! 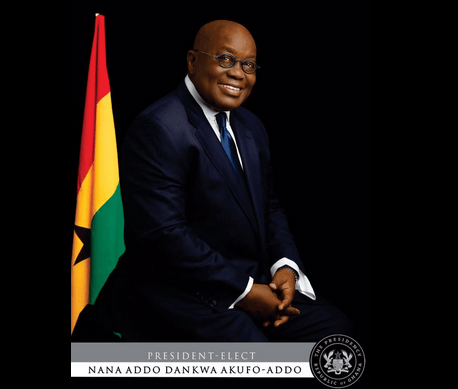 Nana Akufo-Addo is inaugurated president of Ghana on Saturday 7 January, after his victory in the 7 December election against outgoing head of state John Dramani Mahama, with 53% of the vote. The electoral victory of Mr. Akufo-Addo and the peaceful transition of power reinforced the image of Ghana, perceived as a model of stability in a region often turbulent. Nana Akufo-Addo has focused much of his campaign on economic recovery and the fight against unemployment. It intends to fight corruption and is committed to putting the country on "the path of progress and prosperity". 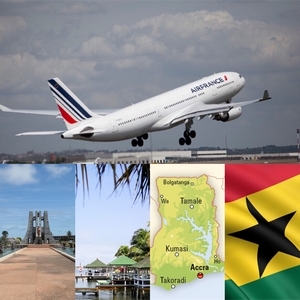 As of 28 February 2017, Air France will offer three weekly flights to the Ghanaian capital from Paris-Charles de Gaulle. Air France is thus developing on one of the most important markets of the African continent for traffic to and from Europe as well as North America. These flights will be operated on Tuesdays, Thursdays and Saturdays from Paris. Information and reservations on www.airfrance.fr, Air France agencies or travel agencies. 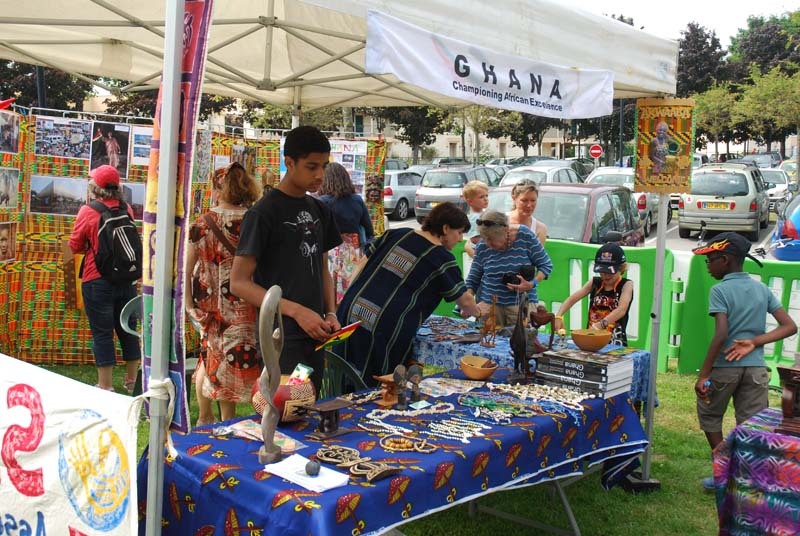 Among all events organized in early May by the Collective for the Week of the Memory of Slavery of St Quentin-en-Yvelines (78), the Marché Tropical set up its tables in Montigny and brought its colours to that sunny day of May 8th. Here are some pictures of this event to which SANKOFA was participating for the first time, and certainly not the last one ! 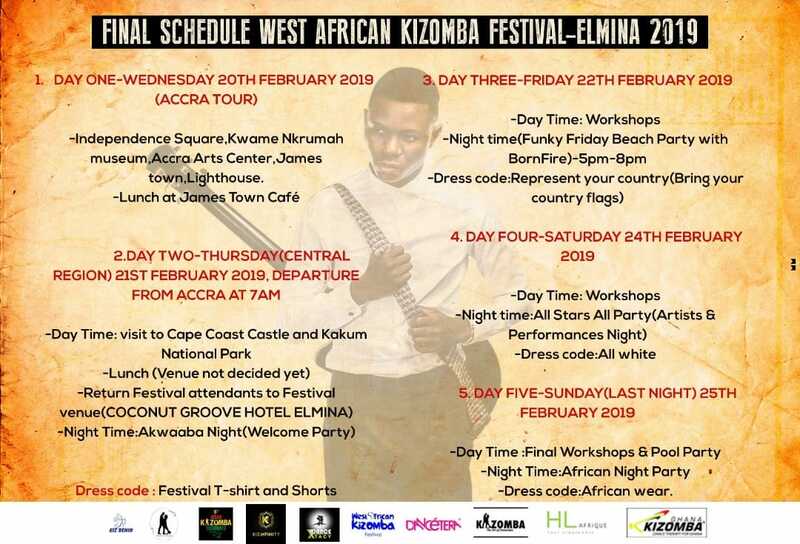 Saturday 6th February : a great happening on Ghana ! For more pictures of the event, click here And to learn more about the school project at Gomoa Akroful, please go there ! Monday, October 19th, Alfred met the children of Saint- Marcel, in the Saône-et-Loire district, and presented them his home country, Ghana, and the construction project of the school of Gomoa Akroful, in the south of the country. Many questions and interest shown by the children regarding this world new for them. More meetings to come : all week long, they will produce drawings to be sent to children in Ghana who, in turn, will draw for children of France ! The association " On the way to Ghana," with his big truck, will carry all drawings. 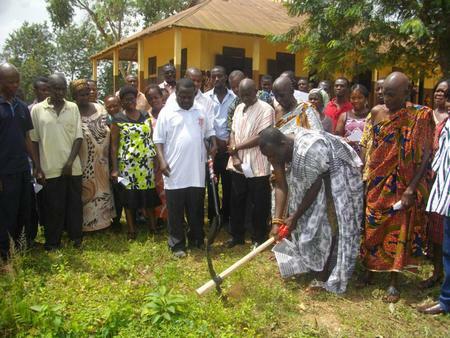 At Gomoa Akroful, construction works have started ! 58 years of Independence in Ghana : the Embassy at Paris put the small dishes in the big ! On 06th March, the Embassy of France in Ghana received numerous guests : representatives of French diplomacy, ambassadors of neighboring countries (Côte d'Ivoire, Togo , Nigeria , ...), leaders and representatives of French companies and the Ghanaian community in France, met at Pavilion Wagram in the heart of Paris, on the occasion of the anniversary celebration of the 58 years of independence. Such a reception was a first in France for the Embassy, and it was a beautiful, warm, lively and colorful evening, like Ghana is ! 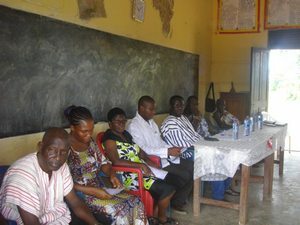 Requested by the municipality of Gomoa Akroful in Ghana (4000 inhabitants) to help building a real kindergarten for the town, SANKOFA has made a contribution to the project development and sought funding to enable its implementation. Three french organizations are co-funding it and we thank them very warmly : the Regional Council of Ile-de-France, the District Council of Yvelines, and the Agency for Micro Projects. Work will therefore be able to begin shortly. However, additional funding is necessary to enable us to carry out training and awareness activities essential to the success of this project initiated and implemented by the local population. Any help, even the slightest, is precious and therefore welcome. Thank you all ! Ghana Youth Day : 1st National Forum of Franco-Ghanaian Youth has delivered ! It was Saturday, October 11 in Neuilly-sur-Marne, near Paris : half a day of exchanges between young people and stakeholders, focusing on issues specific to young people; with proposals for tools to improve intergenerational communication and support for better socio-professional integration. Outcome : quality speakers, rich exchanges and passionate, strong Franco-Ghanaian youth testimonies of their double culture ... a promising historical event, to you young people to imagine the consequences !! "The Forum's goal is to educate young people about issues that concern them, especially their integration problems and propose solutions and appropriate support for a better future. One of the causes of the problems of integration comes from the difficulties of the first generations of Ghanaian migrants, Anglophones, to adapt to the language and French culture. These challenges they face daily did not allow them to better guide their children, and guide them to success. Now it's time to change all that! It is time to realize that we, despite our origins, we have our place in this society. We must do what is necessary to succeed and grow where we grew up with two cultures: French culture and our African roots. The social and professional integration is key for us to be heard and be recognised. Our participation in community life can be a way, that would give us a role, to have a status and recognition in our respective environments. There is to date no association of Ghanaian youth. We the young ones can create our own associations, by appealing to the solidarity and support of our elders who tend their hands today. This forum is also a good example of solidarity as it was organized by a group of motivated young ones, and supervised by senior adults who already had experience of community life. It is in this perspective of creating a youth association that this Forum will bear fruit and be followed by concrete actions that will help us succeed! " Yaw Dela Botri, atenteben virtuoso, on stage in France ! 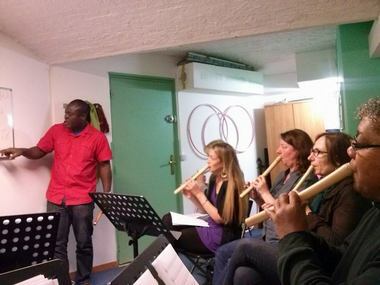 Invited by the french flutist Sabine Boyer, Yaw Dela Botri performed for the very first time in France. A great opportunity to meet other wonderful musicians from different origins in Paris, like Cheick Amadou Tidiane Seck, Max Cilla, Djeli Moussa Condé, Calvin Yug, Antoine Legendre and, last but not least, the Ghanaian Maxwell Osei Abeyie and his Highlife City Band (Bernard on the guitar with his incredible and genuine highlife groove; Laurent on drums). 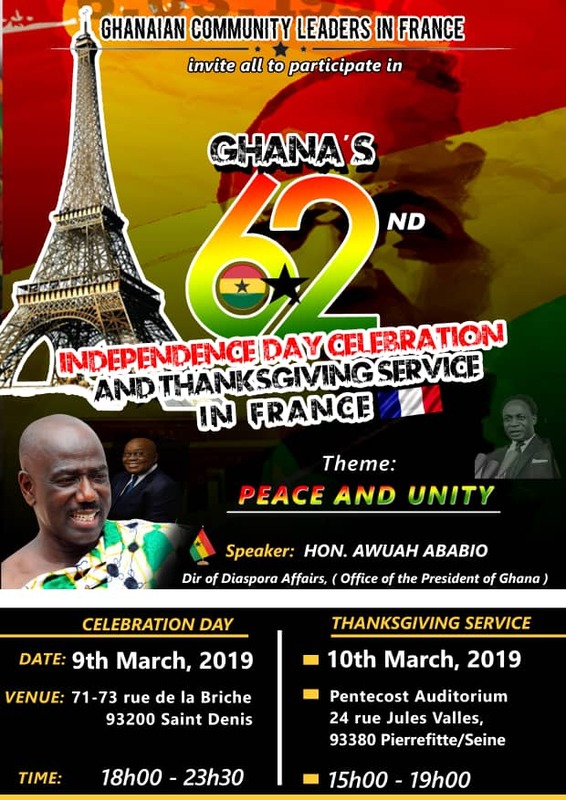 Ghanaians and friends of Ghana, living in and around Paris, gathered last Saturday the 8th of March at their usual events venue at La Briche (a suburb of Paris) to celebrate the 57th anniversary of Ghana’s' independence. 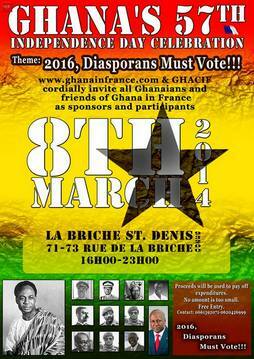 The celebration, under the theme « 2016, Ghana’s Diaspora must vote» was jointly organized by GHACIF and GHANAINFRANCE associations. 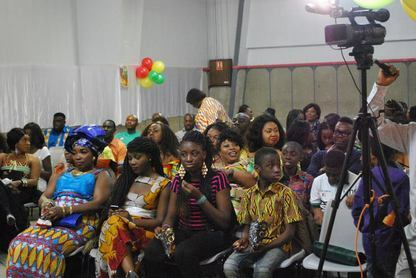 The event successfully mobilized the participation of the Ghana Embassy in France, Nananom, Head Pastors, representatives of various Ghanaian associations, and a cross-section of Franco-ghanaian youth. Rejoice TV was there for a live coverage of proceedings. Mr Yaw NYAMEKYE and Nana Serwaa FRIMPOMAA chaired the occasion. In his opening address, the President of GHACIF, Mr. 'Hon'. 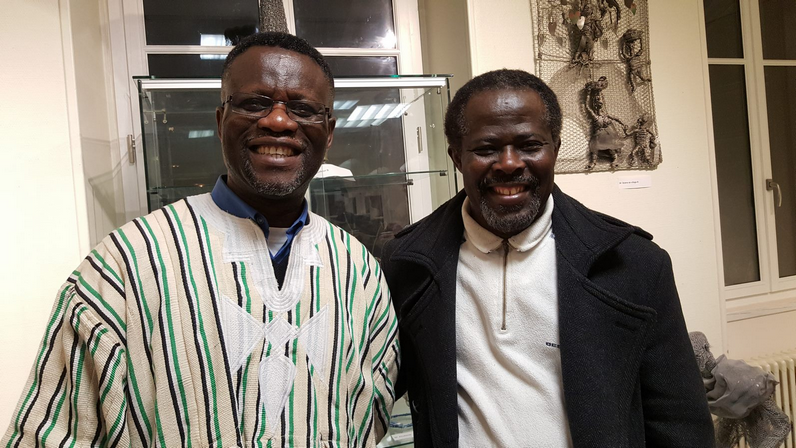 Michael OSEI-MENSAH called for unity and networking among the diaspora associations, and reiterated his call for their active participation in the political and socioeconomic development of Ghana. He emphasized that the political right of Ghanians residing in foreign lands to vote in Ghana's general elections is already guaranteed by law. However, two successive elections of 2008 and 2012 had denied the diaspora of this fundamental right. He therefore urges the diaspora to network and mobilize efforts and resources to demand the immediate implementation of the Representation of the Peoples Act(2006). The Acting Ghana Ambassador to France, Dr. Joseph Nii Sai COFFIE-AGOE, gave the keynote address. He stressed further on the earlier messages of the chairpersons – fostering and maintaining unity within the community; and the need to empower the youth through activities that nurtures their intellectual, leadership and cultural potentials. Dr. COFFIE-AGOE terminated his address by requesting participants to sing the Ghana national anthem (which had already been played via the sound system). 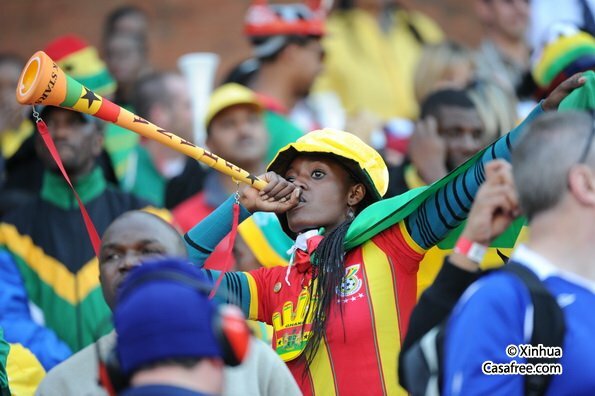 The singing of the anthem was a real moment of national identity, patriotism and pride. The call for the mobilization and empowerment of the youth was further advocated with action when Mr. Alfred OHENE-AKONOR, Vice President of CAGEF (Collective of Ghanaian Associations in France) announced his associations' plan to organize a Youth Forum in May, this year. An event, he said, will create an enabling space for the young ones to discuss issues that affect them, while pursuing their legitimate needs and interest more effectively in a way that builds positive development networks. 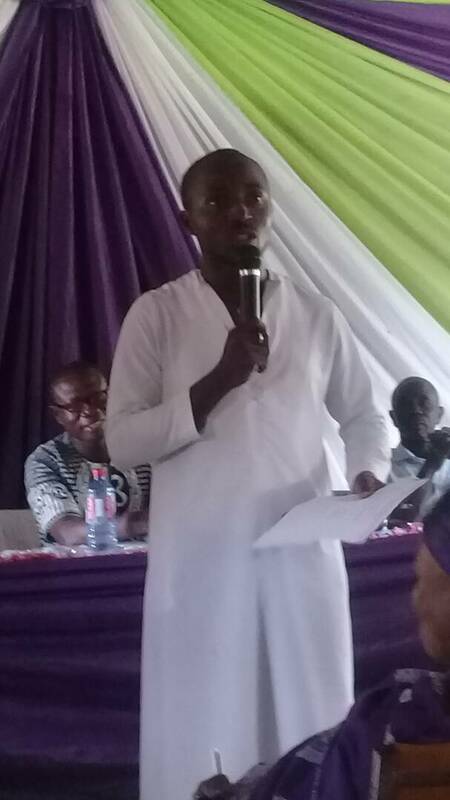 Mr. OHENE-AKONOR then invited all youth groups to join in the preparation of the event. 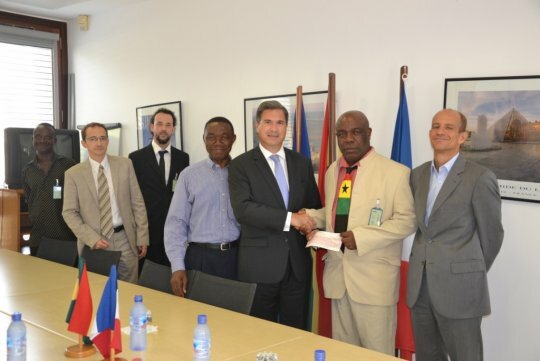 The French ambassador to Ghana, Mr. Frédéric Clavier received, on Monday 9th December 2013, Mr. Ernest Boachie Duah, a Ghanaian citizen residing in France and President of the association “Back to Roots”, one of the Ghanaian associations in France. Within the framework of its social development policies devoted to the reinforcement of gender equality, the Ambassador presented a cheque of the value of GhC 67,500 for the 1st phase of the project “Women in Progressive Development” of the association. This project aims to reduce poverty in rural environment, of young girls in situation of vulnerability and/or handicap, and to support their empowerment. 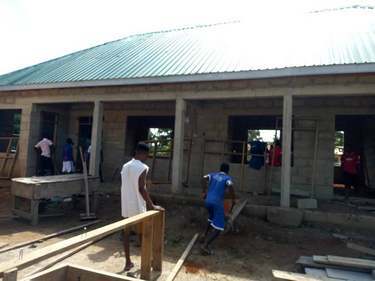 It consists of rehabilitating an already existing vocational training centre at Akuakrom (a small town of about 50 km from Kumasi), that trains young girls in professional trades like art and craft, hairstyle, shoe manufacture, dress making, etc. It is expected that, within two years, 90 pupils will be trained in these disciplines, with a specific quota reserved to young handicapped women. The centre will be offering certificate courses so that the young apprentices could benefit from professional insertion/attachment opportunities. Sensitization sections on personal hygiene ; maternal, infantile and reproductive health are also envisaged. 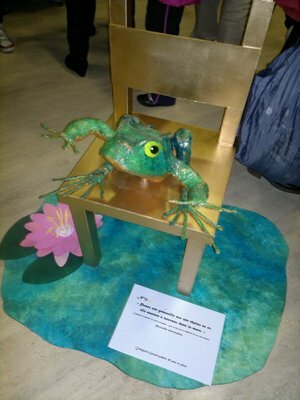 SANKOFA participated this month at the Maxim'Art competition organized by the city council of Montigny-le-Bretonneux, headquarters of the association. The contestants had to illustrate popular quotes of daily life - maxim, proverb, adage, etc. - with original works. 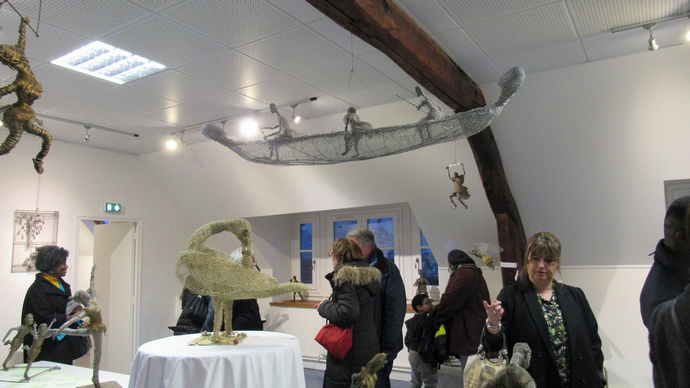 The final artistic products happened to be quite diverse and original, and were exhibited at Montigny City Hall.The opening day of the exhibition saw various prizes being decerned on winning participants by the mayor and his staff, last December 11th. No award for SANKOFA, but the famous Akan bird was brought into light and starts being known in the city. That's just a beginning ! Alfred introducing SANKOFA : "you'll know where you go, if you know where you come from"
Frog, or enchanted prince ? 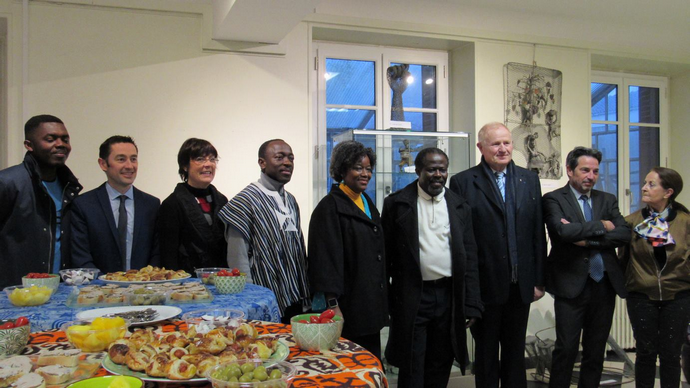 The first Ghanaian International Solidarity Day in France took place near Lyon on October 5th. That day was organized by the Collective of Ghanaian Associations in France, CAGEF, on the theme « The role of the Ghanaian Diaspora in France - Ghana relationships for development ». 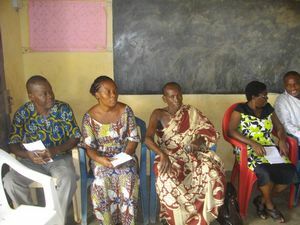 Sankofa, as a member of CAGEF, introduced its own development project of sensitization, training and improvement of sanitation and health, led at Mankrong-Nkwanta, in Ghana, in partnership with the Midi-Pyrénées (Toulouse) Regional Council. CAGEF Collective was created in March 2013, gathering 25 associations with objectives of integration and solidarity. 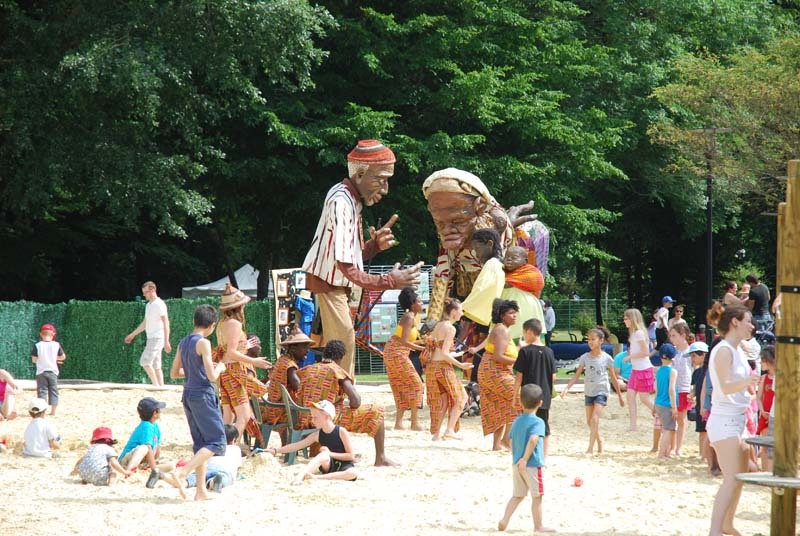 The opening ceremony of "l’ETE EN SABLE" ("Sandy Summer") took place Saturday 6th July at Montigny-le-Bretonneux near Versailles, on an "Africa" theme. It started with a coulourful parade of giant puppets, the Ouroubono family, accompanied with dancers and rythms of Nkabom, a dancing group invited by Sankofa, and followed by people of all ages swinging from the heart of the city to the main place of the manifestation. The Ghana stand aroused much curiosity among the visitors, who enjoyed discovering a country they don't hear so much about. Thanks so much to our friends of Nkabom, to Mary of Apae, and to Sylvie of Ankaful, for their presence and help, that made that day a very bright day ! 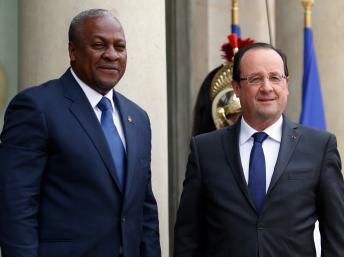 François Hollande welcomed John Mahama at his place (l’Elysée). The French President appreciated that his ghanaian counterpart symbolically started in France his first official visit to Europe. Both presidents agreed on increasing political and economic exchange between the two countries. François Hollande acknowledged the strong involvement of Ghana towards the resolution of international crisis, and both presidents appeared to be sharing common views about the situation in Mali. They also stressed the need to reinforce bilateral relations, and quoted with satisfaction the framework document of partnership about to be signed on that occasion. This document would set the priorities of the franco-ghanaian partnership during the period (governance ; culture and francophonie ; sustainable development ; economic growth). Along these three days, Mahama also met businessmen, and delivered a speech at the French Institute of International Relationships (Ifri) on the following topic « Africa : new opportunities, new political directions ». He finally met again the Ghanaian community which welcomed him on his arrival him at the airport. 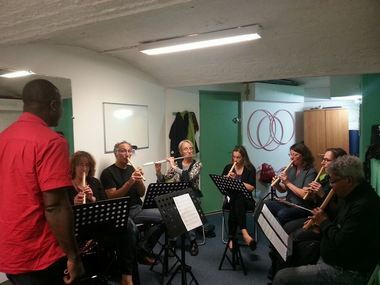 Within the optic of the French governments' international aid policy of co-development, a group of Ghanaian associations in France whose activities comes under this international solidarity policy have mutually come together to form the Collective of Ghanaian Associations in France (CAGEF). This new federation was officially registered in March 2013 at Lyon, in the Rhone-Alpes region. 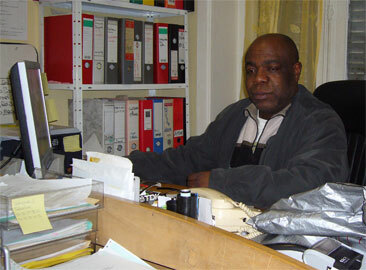 According to its founding President, Nana BOACHIE- DUAH AWERE I (known in private life as Ernest BOACHIE- DUAH), the idea and the motivational factor for the creation of CAGEF stems from the identification by the national platform, FORIM – Forum of Immigrants Organizations of International Solidarity – the absence of a consolidated Ghanaian Diaspora within its networks. 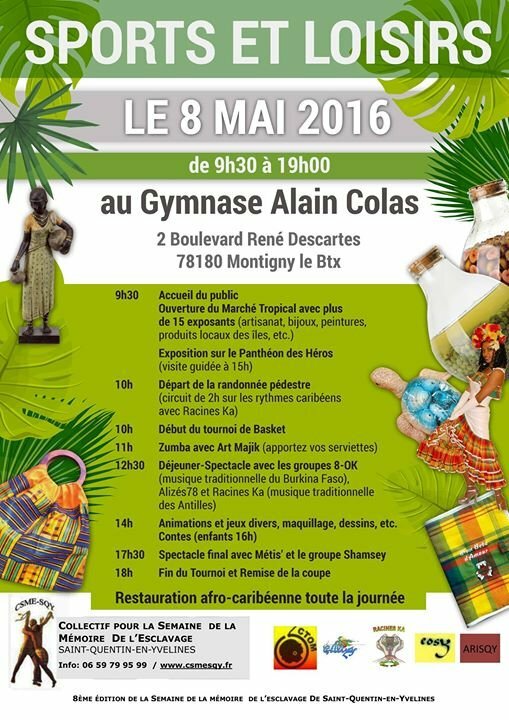 This absence led the FORIM to call for a research study on the Ghanaian Diaspora in France last year. COSIM RHONE ALPES (Collective of Immigrants Organizations of International Solidarity) was commissioned to do this study, sponsored by the French Agency for International Development (AFD). The final report with its conclusions and recommendations was submitted last February.Consequently, with regards to over hundreds of Ghanaian associations officially registered in France, and the seemingly importance of the Ghanaian and Franco-Ghanaian community in France, Nana BOACHIE-DUAH AWERE I (who is also the president of COSIM RHONE ALPES) decided to mobilize various associations, specifically those with local developmental activities back home in Ghana, to form CAGEF. 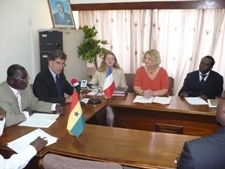 The main aims and objectives of this collective is to represent, express and collaborate with the French governments' developmental aid institutions on matters relating to the Ghanaian Diaspora, and to further act as a conduit for Ghanaian immigrants in France, in all International Solidarity, Migration and Development issues. 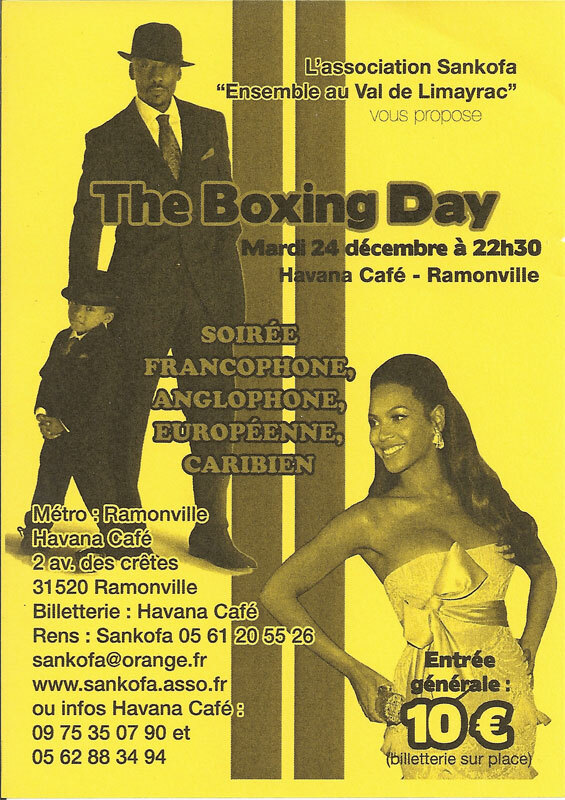 22, Avenue Georges Dimitrov, 69120 Vaulx-en-Velin. 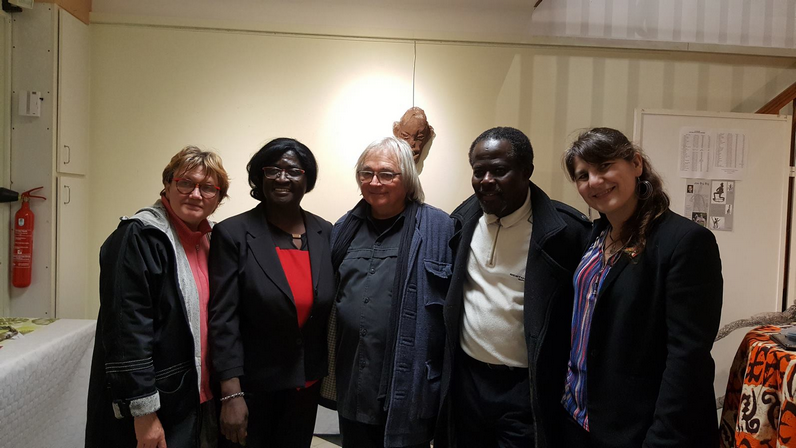 The 9th of February 2013, saw a cross-section of Ghanaians and Franco-Ghanaians in and around Paris, gathered at the La Briche hall in Saint Denis, a suburb of Paris for the launching of a newly published book titled A Call for a Ministry of Ghanaians in Foreign Lands. 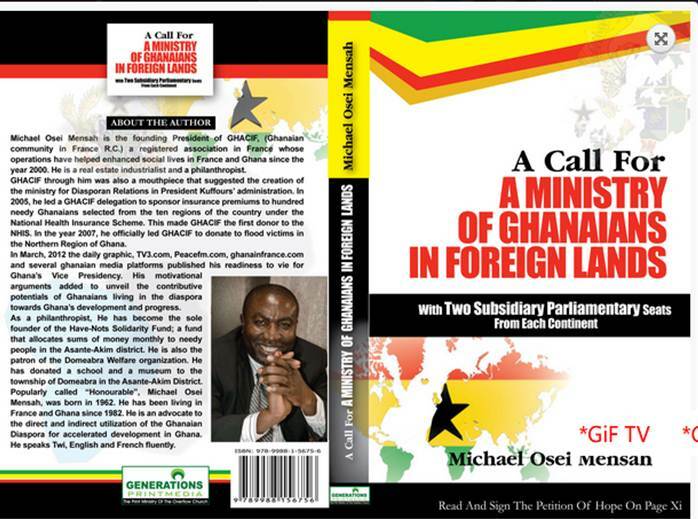 Mr. Michael OSEI-MENSAH, President of the Ghanaian Community in France Representative Council (GHACIF), is the author of the book. The occasion mobilised various Ghanaian groups from the Paris region, Lyon and Strasbourg. 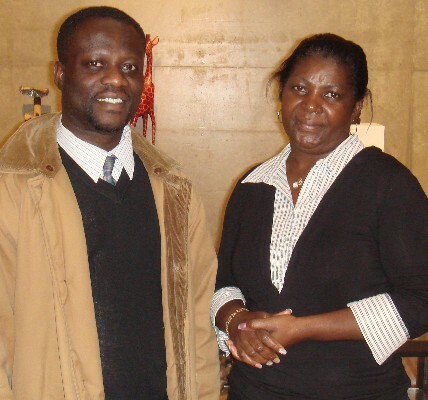 The event was also covered by the Paris based Africa24 TV news station. 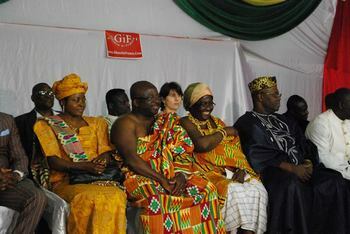 Mr Kofi SETORDGI, President of the Federation of Ghanaian Associations in France, chaired the ceremony. After various review commentary on the book, the Head Pastor of the Church of Pentecost France, Rev. Apostle Osei Owusu Afriyie blessed and launched the book. The first copy of the book was auctioned for € 500. 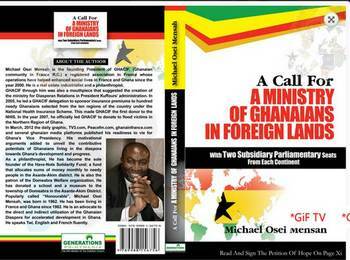 Earlier, in a speech enumerating his motivation for writing the book, the author pointed out that the question of how to harness the full participation of the Ghanaian diaspora in nation building remains unanswered in spite of the numerous institutional structures and links established in the past to manage diaspora affairs. 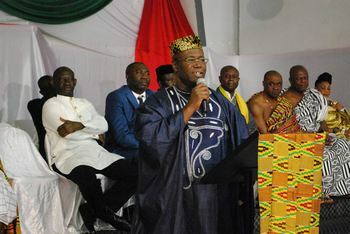 He is therefore advocating through the book for the creation of a Ministry of Ghanaians in Foreign Lands, with two subsidiary parliamentary seats from each of the five continents. He said for an improved diaspora participation with corresponding developmental gains the government of Ghana should carefully examined the propositions made in the book for implementation. He entreated all diasporans to get copies of the book, sign and return the inserted petition to him for presentation to the Ghana government. Mr. Alfred Ohene-Akonor (second from right), President of SANKOFA Franco-Ghanaian Friendship Association, presenting a cheque of Gh¢ 3,800 to Mr. Martin Luther Obeng , Agona East District Chief Executive. Looking on are, Mr. Philip Kudzor (right), District Environmental Sanitation Officer, and Madam Mary Otwey, Assembly woman for Mankrong-Nkwanta. 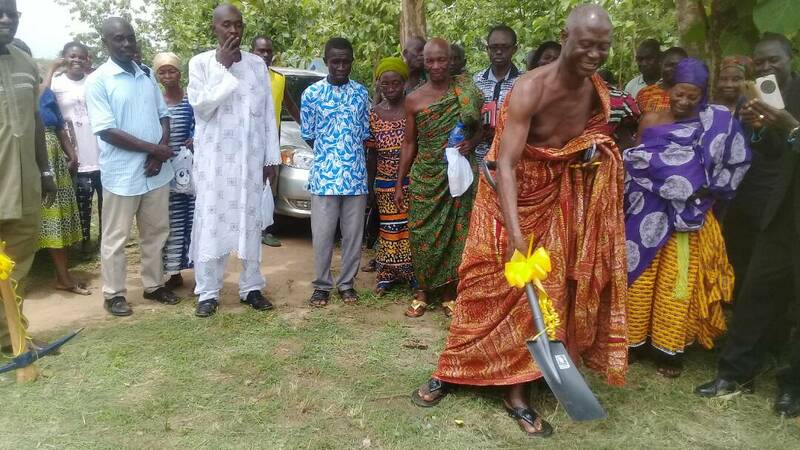 At a presentation ceremony at Agona Nsaba, the district capital of Agona East, Mr Alfred Ohene-Akonor, President of the Association, said the amount was their counterpart fund towards the construction of the facility. The project, which is almost 80 per cent complete, was initiated during a 3 year (2008-2011) Sensitisation and Sanitation Improvement Project embarked upon jointly by the Association and the Assembly. 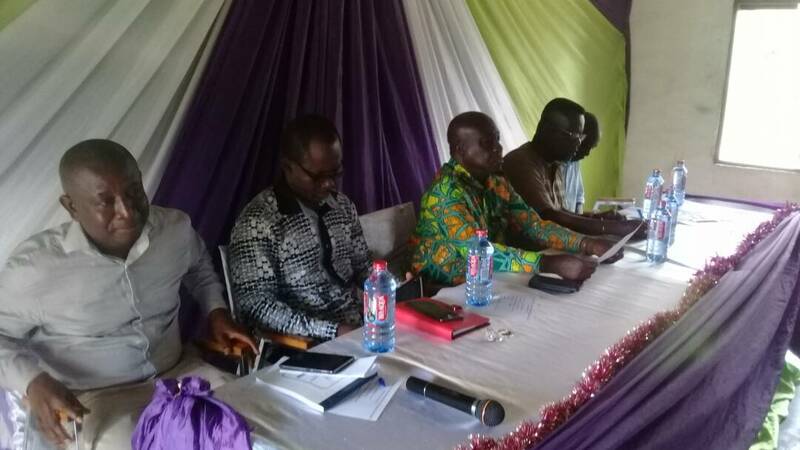 Mr Ohene-Akonor said SANKOFA contacted the French Embassy in Ghana at the beginning of the year 2011 for a Fund for Social Development (FSD) grant to executive the project.. 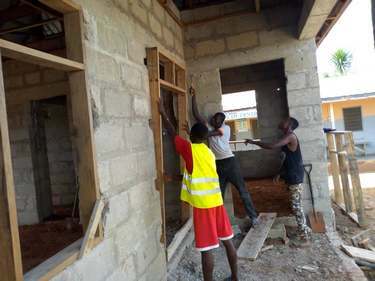 He said the Embassy in June 2011 approved the request and had since contributed their quota of almost Gh¢ 26,000 towards the project. Mr Martin Luther Obeng, Agona East District Chief Executive, who received the cheque thanked and commended the SANKOFA Association and the French Embassy for their support and kind gesture. He said the Assembly would use the money for its intended purpose. 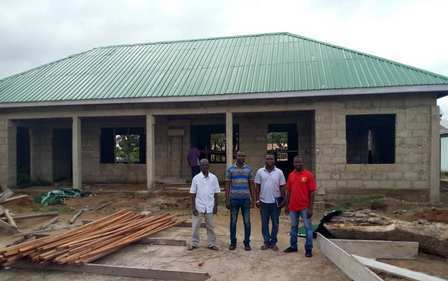 He added that the Assembly as partners to the project is also bearing 30 per cent of the project cost, and would soon release funds due to complete the project on time. 09th December 2012 : John Mahama elected president of Ghana ! 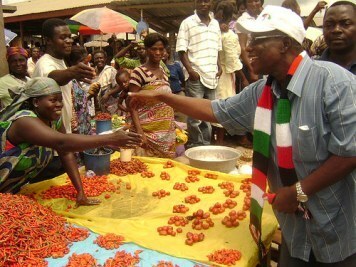 John Mahama Wins 2012 Polls! 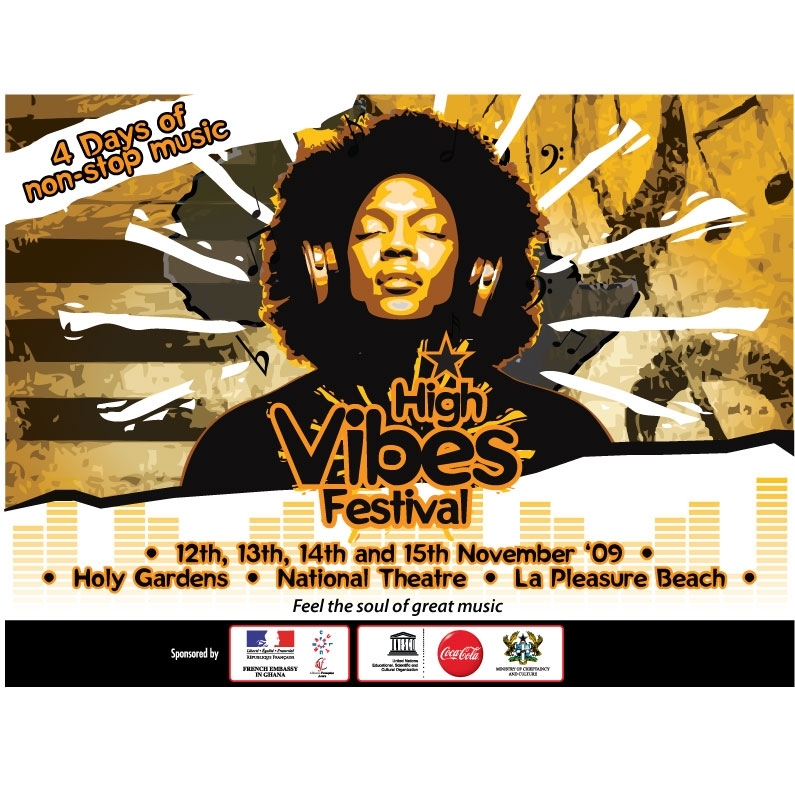 High Vibes Festival : be a part of it and you will have a lot of fun ! 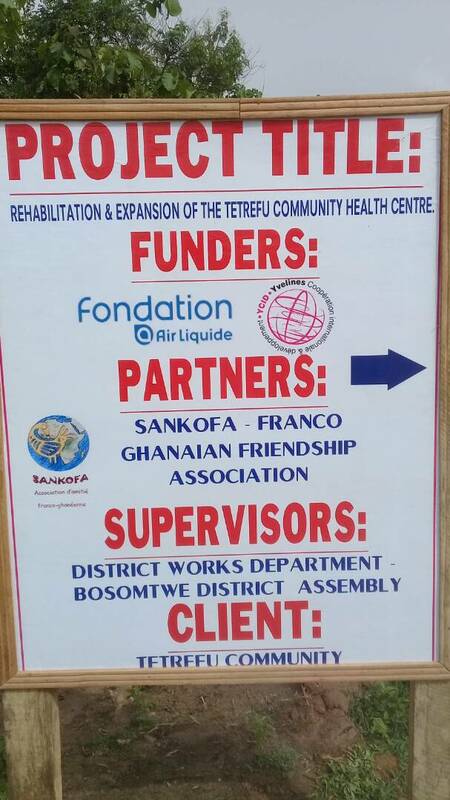 The French Embassy in Ghana supports Mankrong Nkwanta Sanitation Project led by the Agona East District and SANKOFA ! 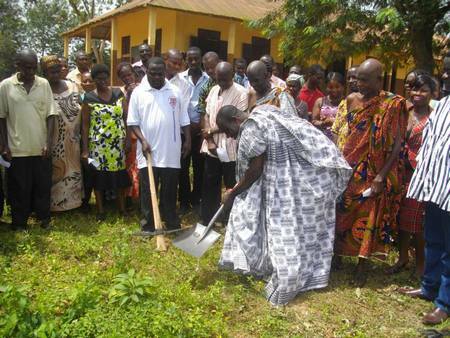 The FSD will support, in partnership with the Agona East District Assembly, the construction of a community sanitary complex toilet in Mankrong-Nkwanta. 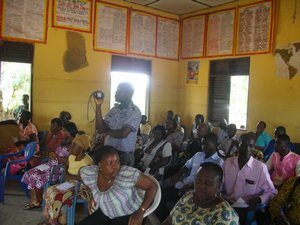 It is the first time that the FSD in Ghana is co-operating with a local assembly. 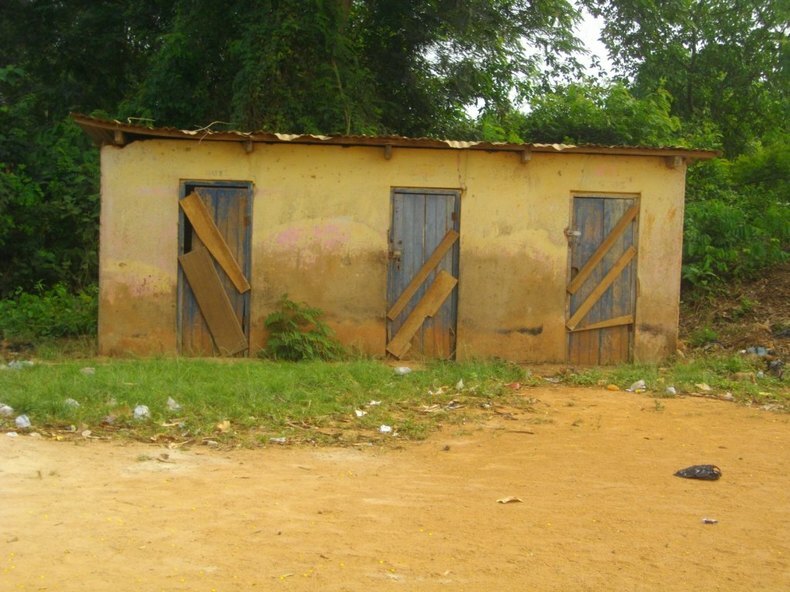 The project will also be implemented in partnership with the French-Ghanaian association Sankofa which is already supported by the French Region of Midi-Pyrénées for a training project in sanitation. 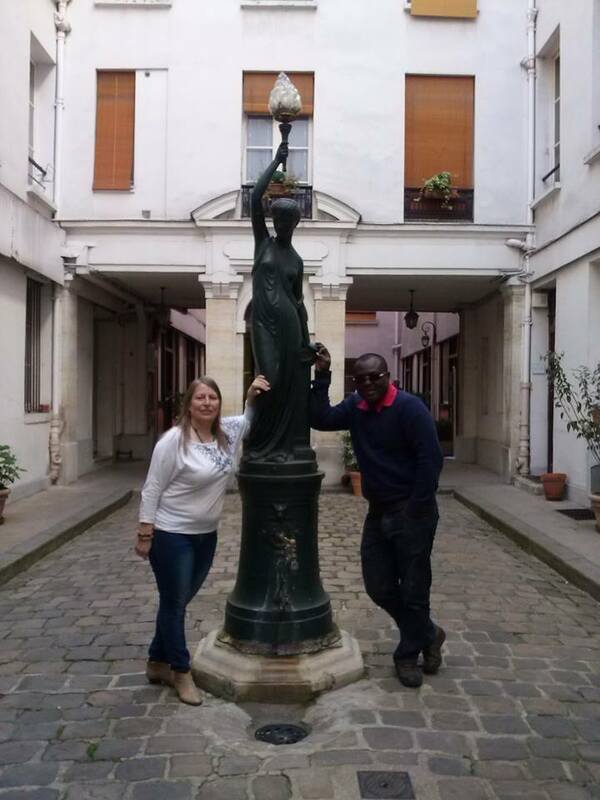 (...) "
Mr. Kwame SARPONG, the Founder and Executive Director of the Gramophone Records Museum and Research Centre (GRMRC) of Ghana was recently at Paris to attend the International Council of Museums’ (ICOM) annual working meeting that took place from 6th to 10th June 2011. 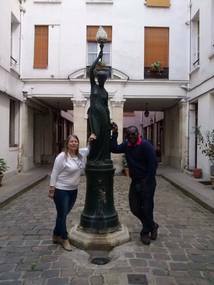 Mr SARPONG who is also the Vice President of ICOM Advisory Committee took time off the meetings to visit certain institutions and personalities in the cultural heritage industry. 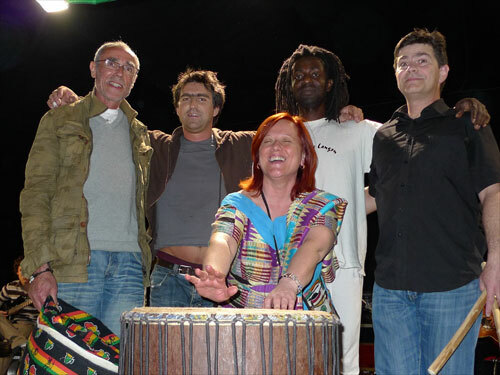 28th May : Adinkra and Ghana tales : Sankofa at the Capitada of Toulouse ! 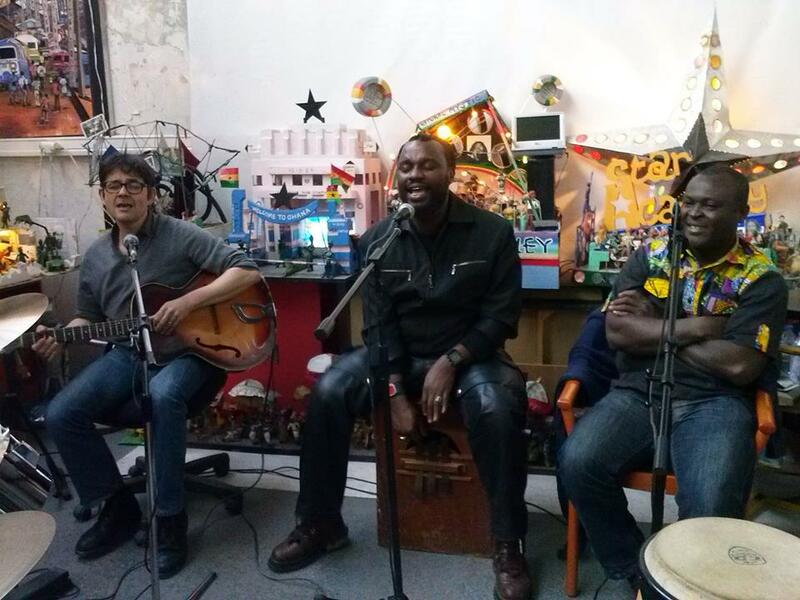 18th March : Ghanaians in Paris thrilled to authentic HipLife ! for making it possible for Franco-Ghanaians and their friends in and around Paris to have a real, live and direct, feeling of Ghanaian hiphop music – dubbed HipLife – in organising a musical concert that brought together local and Ghanaian artists for a memorable performance at the Espace Venise at Sarcelles, a surbub of Paris ! This is the second successful event organised by Gold Coast Events since its creation barely six month ago. That night’s event saw over 300 young people storming the place to catch glimpse of hiplife duo’s like Los Grumos (France) and Ruff–N-Smooth (Ghana). This year again, l'Alliance Française d'Accra, in conjunction with l'Institut Français in Ghana and the francophone diplomatic representation in Ghana will celebrate Francophonie in March. On this occasion, various cultural activities such as exhibitions, fashion show, conferences, concerts and many more will be held from March 11th to 30th. An original and thoughtful idea on how Ghana can move forward with its young professionals in France playing a role and making a greater impact has come from HE Madam Genevieve TSEGAH, Ghana Ambassador in France. 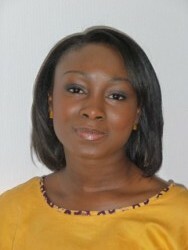 This laudable initiative of the Ambassador is to identify, register and mobilise young Ghanaian and Franco-Ghanaian professionals and entrepreneurs (between the ages of 18 and 35 years) in France, and bringing them together to build a sustainable working relationship with the government of Ghana to enhance socio-economic development in their country of origin. Those who could not participate in this first meeting at Paris but motivated to join this collective of young professionals are invited to contact FEDGHAF. Zoom onto Microsfere, or how to deal equally with local development and biodiversity ! Both discrete and very active, Microsfere is a young french NGO operating in Ghana and trying to improve community well-being through the creation of income-generating activities that are compatible with the sustainable use of natural resources and with biodiversity protection. Microsfere aims at combining biodiversity conservation and rural development in areas protected for their ecological value in West Africa. The main tool used is microcredit, which is nowadays renown to be one of the best performing instruments to combat poverty. Currently Microsfere is active in southern Ghana (Central and Western Regions). It operates in the Kakum National Park and the Amansuri Wetland Area, two sites that are part of the world biodiversity heritage (Biodiversity Hotspot) called "Guinean forests of West Africa." 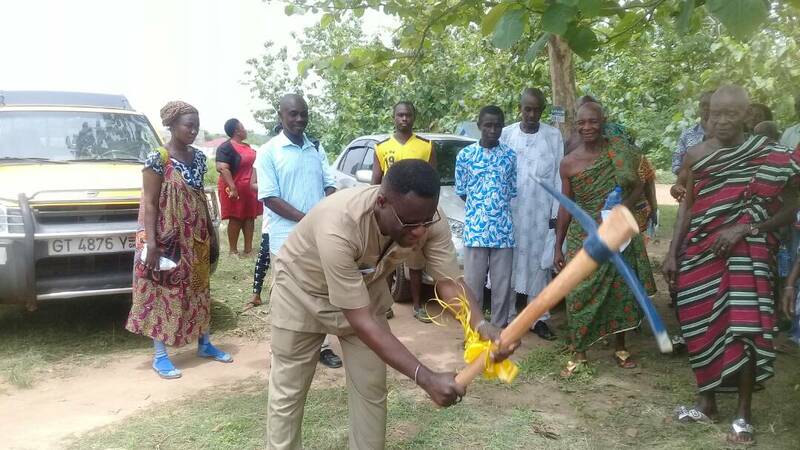 The projects are implemented in collaboration with national partners, the Wildlife Division of the Forestry Commission and the Ghana Wildlife Society, as well as local rural banks like the Jomoro Rural Bank Limited. HAPPY NEW YEAR !!! 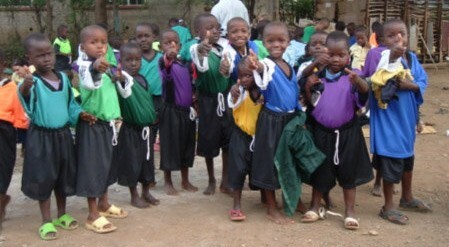 May 2011 bring you joy and happiness, in France, in Ghana or anywhere in the world, health and success in all your projects ! Michèle Ouvrard, présidente de l'association Batabi Oyoko Akwaaba (BOA), organisait, samedi 26 novembre, une réception à Cenon, près de Bordeaux, avec exposition photos et projection de film relatant son voyage à Batabi, au Ghana, durant l'été 2010.
and Rita Hagan, Consul of Ghana, with the Mayor of Cenon Alain David. Du 21 juillet au 26 août, Michèle et cinq bénévoles de Rennes, Lille, Ambarès sont partis à Batabi pour y commencer la construction d'une école maternelle dont les travaux se poursuivront l'été prochain. 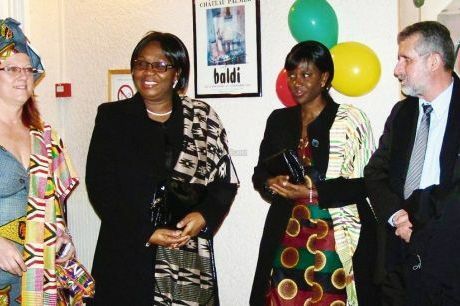 Pour l'occasion, Geneviève Tsegah, ambassadrice du Ghana, et Rita Hagan, consul du même pays, avaient fait le déplacement tout comme Michael Osei Mensah, président de l'Association Ghacif des Ghanéens en France. Le maire de Cenon, Alain David, n'a pas manqué de féliciter Michèle Ouvrard pour son action. Un spectacle de danse et de musique attendait les nombreux convives présents. De nombreux autres projets, le relais des bénévoles, un centre culturel et une bibliothèque bilingue sont également dans les pensées de la présidente. 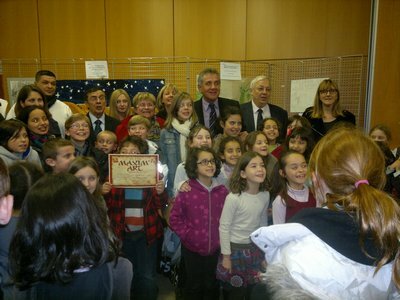 "Children of Hope", an NGO for the children of Half-Assini is born ! Saturday October 23rd was the date for the inauguration, at Rouen in France, of a new association dedicated to street children of the town of Half-Assini, located on the western coast of Ghana, 400 km far from the capital Accra. The project "Children of Hope" is to build a socio-educational center for poor, orphans or abandoned children. Young pregnant girls are also being targetted in that project. A school will be included in the center to allow basic teaching and sensitization, and it will also provide health care facilities : pharmacy, laboratory, and community clinic. For Essien Aman, President and founder of the association : "Education is our children's future. A child who can read and write holds the tools that open the door to knowledge and socio-economic development. Let's give this chance to the kids of Half-Assini ! " The inauguration was an opportunity to start collecting funds and launch the operation. Thus a brave public joined in Rouen that evening to support this generous cause, albeit a heavy rain and lack of fuel ! SANKOFA was there of course, willing to encourage a new initiative towards Ghana, as well as the APAE association of Mary Amoako with her superb troupe of dancers which, with rare dancing steps, brought vibrations into the place through hot ghanaian rythms. 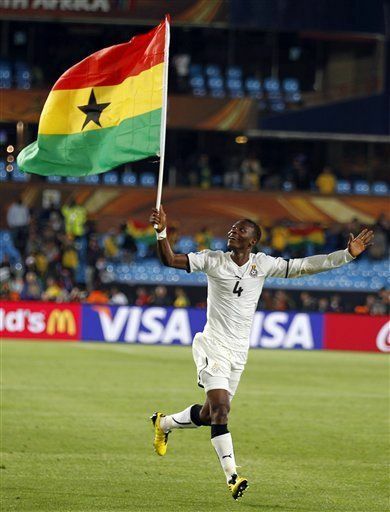 No 1/2 finals this time for the Black Stars, see you in 4 years time in Brasil ! The Ghanaian football team left the Wolrdcup 2010 competition with honour, after being defeated in 1/4 finals by the Uruguayans. Congratulations to the shining Black Stars who made Africa proud ! Rendez-vous in Brasil in four years time, and probably even before then ! A mini durbar organised on Saturday 10th April, 2010 by the traditional and the municipal authorities at Domeabra, in the Asante-Akim district, in the Ashanti region of Ghana heralded the official opening of a CULTURAL GALLERY project that was initiated by ‘Ghanaians In France Representative Council’ (GHACIF) last year. 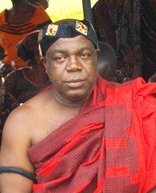 The Omanhene of the Asante-Akim traditional area, Nana Afoakwa Frimpong was assisted to cut the ribbon tape to declare the premises that house the Cultural Gallery open to the public. This local development project is to boost cultural education and tourism in the district. Among personalities present at the inauguration ceremony were Hon. 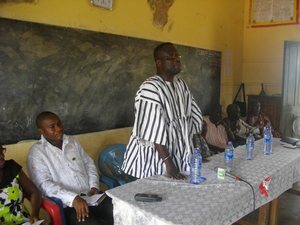 Osei Bonsu, Municipal Chief Executive (MCE) of Asante Akim North and Hon Anyimadu, member of Parliament for Asante-Akim. 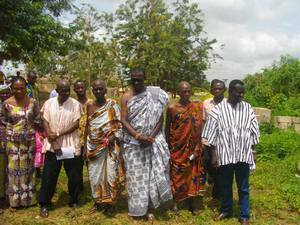 This Cultural Gallery is the first of its kind in a rural area and among the few in Ghana. Hon. Osei-Mensah Michael (GHACIF PRESIDENT) hopes that it becomes a way forward for other local development initiatives in the country, especially from Ghanaians in the Diaspora. 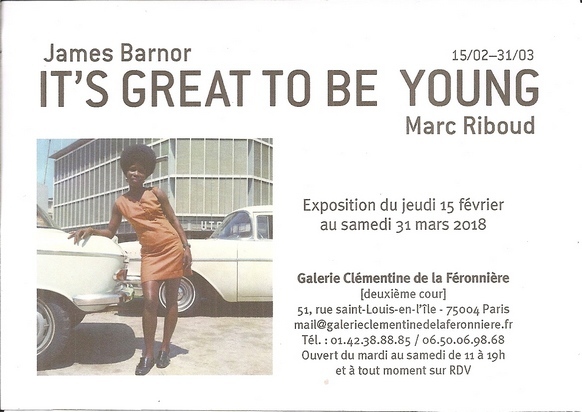 At the moment the Gallery is showcasing photos and objects of diverse cultural significance. Majority of the photos are from the works of Photographer J.KY. 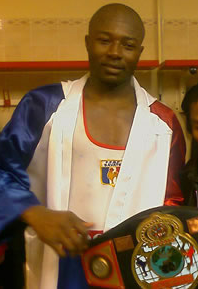 Anderson (a Franco Ghanaian). The project is ongoing and its administrators hope to enrich it with all cultural opportunities. Domeabra is 9 miles from Konongo on the major Accra-Kumasi road. Ghanaians and non Ghanaians are invited to patronize this project and make it great for all. 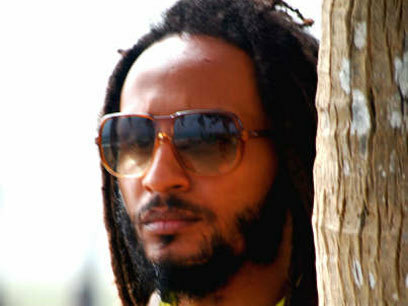 Supported by the French Embassy in Ghana, Emmanuel OWUSU-BONSU, best known as Wanlov the Kubolor, has just been selected for an artist residency programme in France, called Visa for Creation. 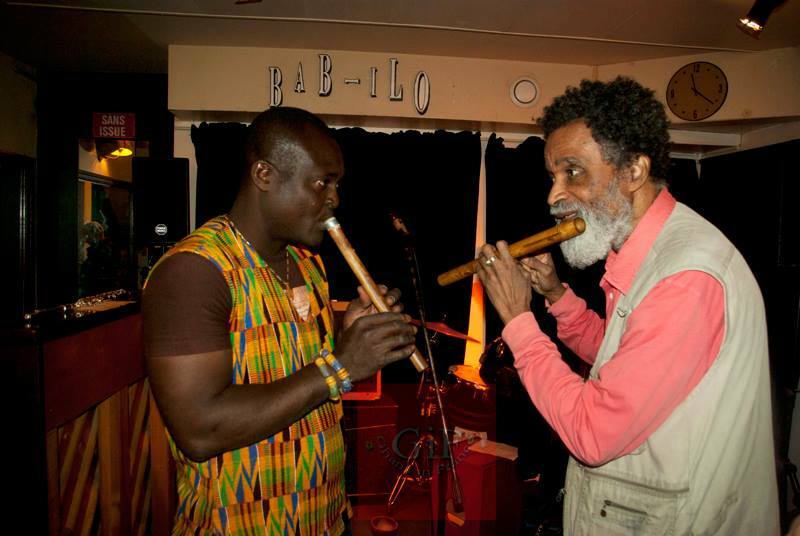 Last May, Kubolor already played an integral part as script writer, musician and performer of the Culture Caravan, a road show in the tradition of the concert-party sponsored by the French Embassy and exploring the highways and byways of Ghana. But Kubolor is the very first Ghanaian artist to be chosen for the Culturesfrance Residency programme. 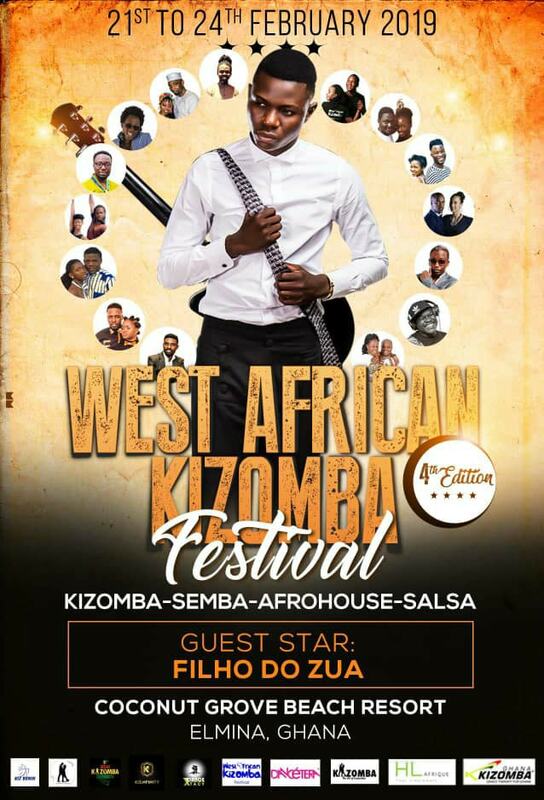 Kubolor will go to ‘Cité des Arts’ in Paris for 3 months in the summer to seek inspiration in song writing for his next album. 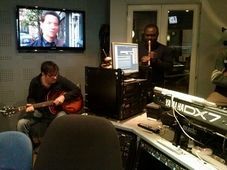 The selection jury was seduced and spellbound by his project, that mixes Ghanaian hiplife with gypsy musical influences. Born of a Romanian mother, his roaming itinerary will take him to France, where Gypsy music is in the limelight this year. Wanlov just had his first taste of France in Marseille, from the 25th to the 27th of March, attending the International Babelmed professional fair. He was representing Pidgen Music and Panji Anoff, and promoting his musical movie ‘Coz ov Moni’, co-starring with M3nsa, soon to be released in Ghana! Bare-foot as usual, he created quite a sensation in the narrow streets of Marseille, and a whisper in the late Harmattan wind suggested the Mistral, that wicked wind of Marseille, has already inspired him a song for his blowing album to come! With the goal of promoting and supporting the creation and circulation of Ghanaian works of art, craft, fashion and dressing accessories, SANKOFA deem it so to put forward franco-Ghanaian creators and entrepreneurs and to put them in touch with their multi-racial public and clients. It is with pleasure that we introduce to you ABIGAIL PERROT of « Les Créations d’Abi », Paris. It is our desire that her entrepreneurial zeal motivates and fosters the emergence of new talents and creators of Ghanaian origins. Born in Ghana, and passionate in fashion and in aestheticism, the modiste Abigail Perrot blends intelligently, the beauty, warmth, and the joy of her African origins with the simplicity and elegance of western fashion. After the success of her first collection entitled "AKWABA" ("Welcome" in Twi, her native language), she will launch soon, another new collection of dresses and its accessories for the coming summer. 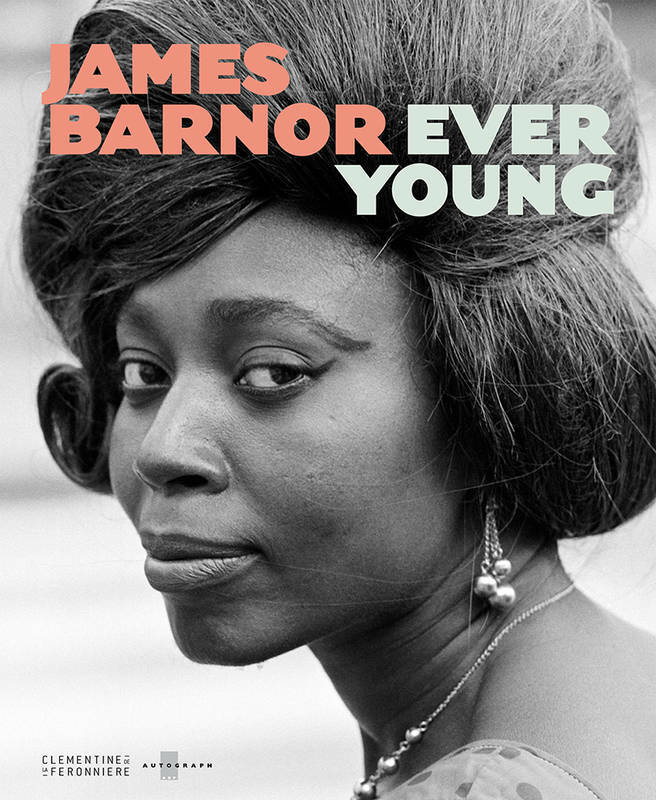 It is her pleasure to introduce these collections through a preview programme that would be staged at the coming Afro-Attitude Festival (5th & 6th June, 2010) which celebrates the 50th anniversary of independence of 17 African countries. 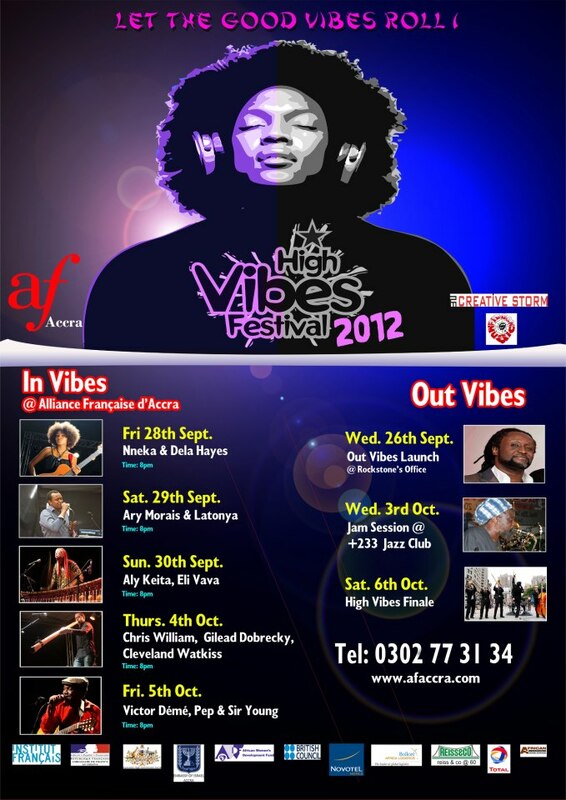 The " Afro Attitude " festival is an economic and cultural event devoted to entrepreneurship, and to the creation of new economic and cultural networks. This event portrays new talents of the african diaspora and the creation of a positive movement of development and change of mentalities. 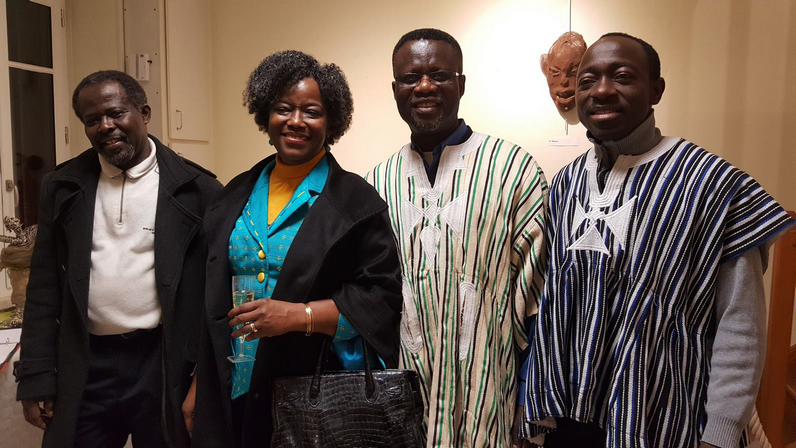 Ghanaians and friends of Ghana in and around Paris gathered last Saturday night (06/03) at the Espace de Chevreul, Nanterre, to join celebrations in Ghana and in the diasporas to mark the 53rd anniversary of Ghana's gain of independence from British colonial rule. The KENTE Dinner Dance event was organised by the Federation of Ghanaian Associations in France (FEDGHAF) in partnership with the Ghana Embassy in France and the Brussels Airline. 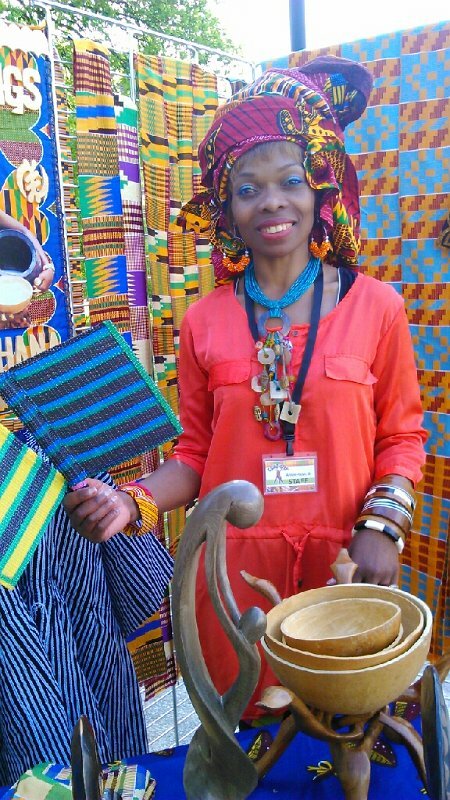 It was a colourful and a well attended event as participants – young and old – assembled in their indigenous Kente clothes of all brands and styles. Un "Léopard des neiges" à l'assaut de Vancouver ! A man who grew up in a country without snow is to become the first Ghanian to compete in the Winter Olympics later this month when he straps on his skis to tackle the Alpine downhill. 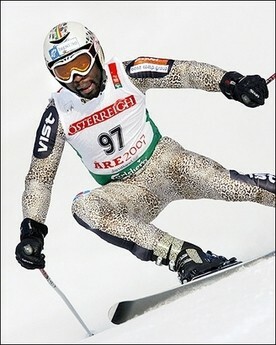 35-year old Kwame Nkrumah-Acheampong, aka the Snow Leopard, only saw snow for the first time five years ago and is now set to compete against the world's top skiers. After teaching himself to ski on indoor slopes in the UK, Nkrumah-Acheampong broke on the international circuit - he's the first black African skier to do so "It has been four years of heartache, sweat and a lot of tears away from my family," said Kwame after scraping through qualifying to bag a place at the Winter Olympics. "I feel great about competing and all my friends in Ghana think it is really cool. 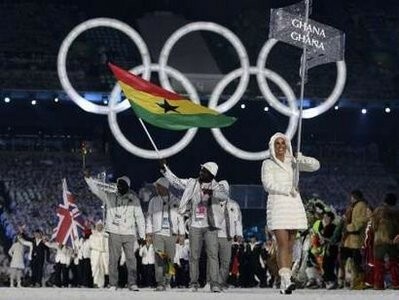 I am very proud of my heritage and being a role model for other Africans and Ghanaians to follow their dream,” he added. His story is similar to the Disney film, Cool Runnings, about the Jamaican bobsleigh team's debut at the 1988 Winter Olympics in Calgary. We’ll certainly be looking out for the Snow Leopard when the Games begin on February 12. "Let's speak Twi" for the French... at last !!! 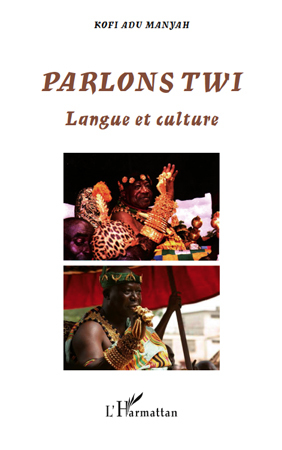 We've been expecting it for so long : the french guide on Twi language was finally issued a couple of days ago, thanks to Dr Kofi ADU MANYAH, an eminent franco-ghanaian scientist and researcher at Strasbourg University ! This book is more than a Twi learning method, it is also an introduction to the rich Akan culture of Ghana, and can be read by anyone curious about the formerly called 'Gold Coast'. 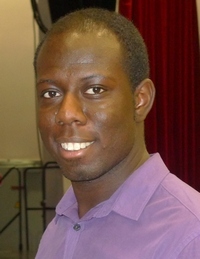 Dr Kofi ADU MANYAH is a Language Sciences lecturer, who also wrote, in french, "Introduction to african phonetics and phonology. Sounds of daily life : the Akan case (twi)", and co-published, in 1999, "Slaveries and bondages of yesterday and today". 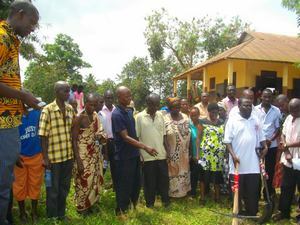 Friday 29th of January, the French Ambassador, HE Francis HURTUT, in the name of the French Region "Ile de France", has cut the tape for the new Health Centre built at Ahienya, a community close to Dodowa where the NGO OrphanAid Africa is sustaining foster families taking care of vulnerable children. 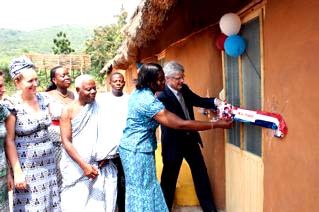 More than 500 persons will benefit from this new facility, amounting 58 000 euros, jointly supported by the Ghanaian authorities and some foreign donors. The French Region called "Ile de France", composed of elected members, has financed a total of 10 000 euros. Egypt won the African Cup of Nations for the third time in a row yesterday after substitute Mohamed Gedo scored in the 85th minute to earn a 1-0 victory over Ghana in the final. Tournament debutant Gedo curled in a shot from within the area to give Egypt its record seventh title. Until then it looked as if Ghana were going to win. They had played every game of the tournament at this stadium and knew how to negotiate the stodgy pitch, something the usually fluid-passing Egyptians struggled with. Ghana created a series of chances in the closing stages, the excellent Asamoah Gyan going close with two free-kicks and Agyemang Opoku not quite able to get on the end of Samuel Inkoom’s low cross. Understandably, they were disconsolate at the final whistle. However, with four players from the side that won the World Under-20 Championship starting the game and Michael Essien to return from injury, there is no reason why this generation of Ghanaians cannot dominate the continent in the way the Egyptians have. With Stephen Appiah, Sulley Muntari, John Mensah and John Paintsil also to return, England will be wary of meeting the Black Stars in the first knockout round in South Africa this summer. Happy New Year from the SANKOFA team ! 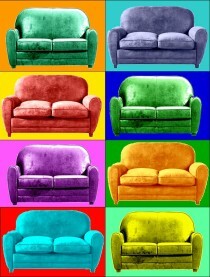 We wish you all the best for 2010, with lots of projects, enthusiasm, joy, friendship and love ! The 15th edition of the annual Chocolate Trade Fair ("Salon du Chocolat") at Paris reached its climax last weekend (17/18-10-09) with attendance at its peak. This acclaimed Trade Fair attracted chocolate manufacturers and confectionaries from all walks of life – from Sao Tome & Principe to Luxembourg. Though the Monde Selection award winning Golden Tree Chocolate from Ghana was not found on the exposition stands, the country’s name was mentioned, with precision by the MC of the animation stage, as the second world leading exporter of Cocoa - the main raw material that makes chocolate. This was during the splendid Ghanaian dance performances portrayed by the young dancers of the "Association Préparons l’Avenir de nos Enfants" (APAE). More pictures ? Just click here ! The association, based at St. Brice near Paris, was headed by the dynamic Mrs. Mary Amoako, a social worker of Ghanaian origin. The public at the fair were entertained to a well choreographic ‘highlife’ dancing steps and body movements that was a delight to watch. Surely, the dancing group of APAE will be there next year for the 16th edition of the fair, and we also expect to see a Ghanaian stand exhibiting one of the finest chocolates in the world. So, over to you Cocoa Processing Company, producer of Golden Tree chocolates; Kuapa KoKoo, joint owners of Divine chocolate; and Omanhene Cocoa Beans Company, producer of Omanhene chocolate ! The commercial/business affairs section of the Ghana Embassy in France should assist in this direction to promote processed cocoa products of Ghana, and to enhance the Ghanaian economy. 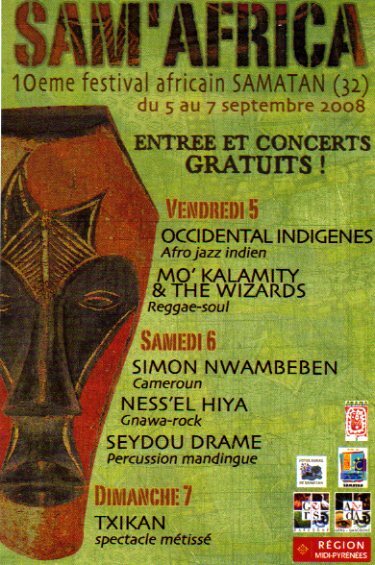 From 4th to 7th June, Afriqu'à Muret 2009 : come and meet us there ! "Our children" special entertainment night with APAE ! The franco-ghanaian Madam Mary Amoako has done it again ! 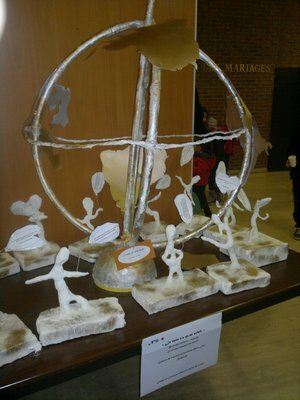 That Saturday 9th May was a special occasion for the children of the Association "Préparons l’Avenir de nos Enfants" (APAE). As president of APAE, Madam Amoako galvanised the 70 children that the association works with to give a tremendous entertaining performances at the Silvia Monfort theatre in Saint Brice, a suburb north of Paris. This was the 3rd edition of their annual ‘Special Night’. The town hall theatre was filled to capacity as the children and other guest artists treated the public to a variety of entertaining performances featuring cat-walk fashion show, traditional dances from Africa and the Caribbean, contemporary hip-hop dances, recital of folk tales from Africa, a drama , and a gospel music concert. The public was amazed and impressed by the performances of the children. APAE through its educational support programme for the children, mostly of ethnic minority background, have exposed the children to extra-curriculum activities that gave them the opportunity to excel, thrive and grow within their communities. Our children need solid socio-cultural foundation to develop their abilities and capacities, and APAE exists to offer this foundation to these children. 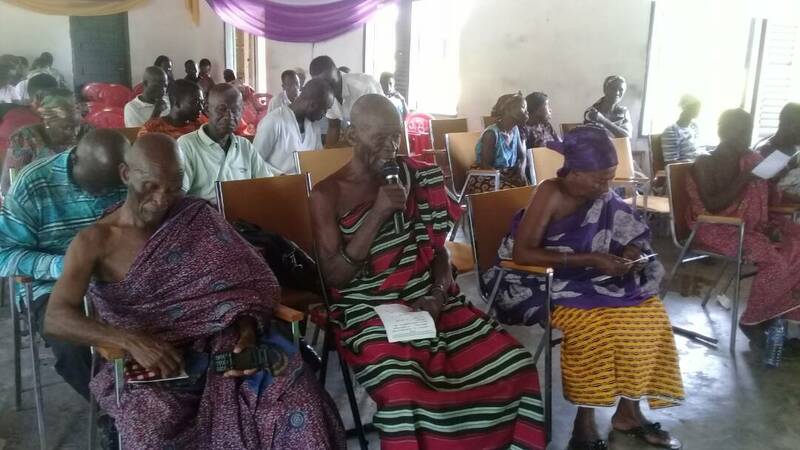 Madam Amoako in her brief comment expressed appreciation to the Saint Brice local authority for their support. She also thanked other invited artists, the volunteers of APAE, the technicians of Silvia Monfort theatre, the parents of the children, and other partner associations for their participation and contribution in making the nights’ event a success. She looks forward to the same support and enthusiasm for next years’ programme. A section of the Ghanaian community were there to support and encourage their compatriot, Madam Amoako, for the good work she is doing for, and with the children. Among them were Mr Ohene-Akonor, President of SANKOFA, Mr Patrick Dumorine, Webmaster of GHACIF, Mrs Gina Takie-Tagoe, a professional dancer (who also performed this night), Mrs Ntim-Akoto Dosia, a writer of children novels, Mr Jake Kwaku Yirenkyi Anderson, a photographer and anthropologist (author of the pictures of the show ! ), Mr Alex Baker, a renowned veteran pianist (who also performed on the nights’ gospel concert), and many others. 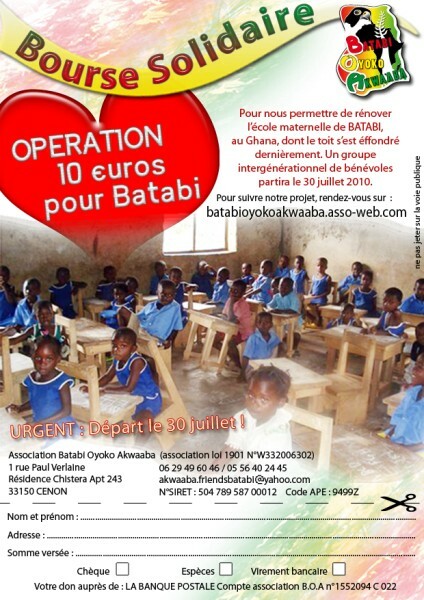 A library for the village of Batabi : BOA, here we go ! 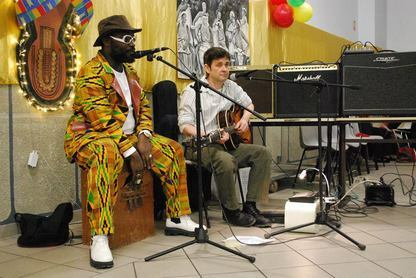 SANKOFA and GHACIF attended the inauguration in solidarity with BOA, as well as many artists who entertained participants to soul, funk, and traditional african music and dance, within an atmosphere of friendship and solidarity. The President of GHACIF Hon. 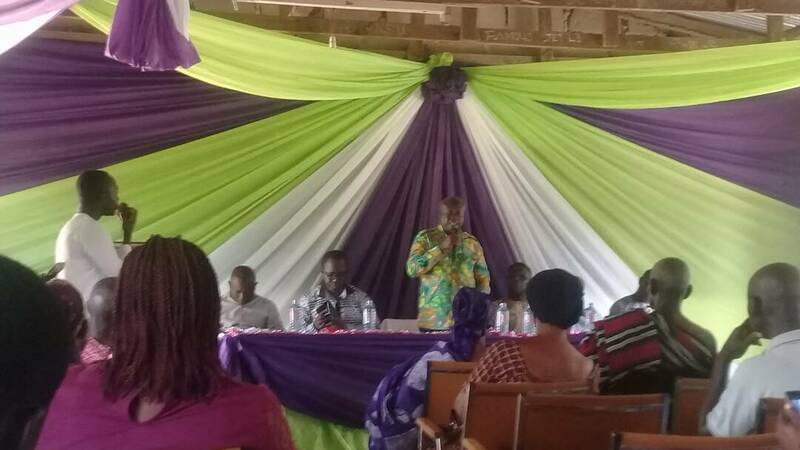 Michael Osei-Mensah gave a speech in appreciation of what BOA and the community of Cenon is doing towards the educational development of the needy children of Batabi. 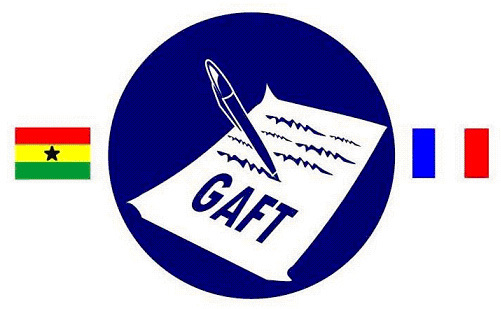 GHACIF motivated them in this noble effort by the award of certificates of recognition. The call for donation of items for the children of Batabi was well responded with lots of clothes, games, and books to fill the shelfs of the village library ! Click here and watch some pictures of this memorable event ! Reserve your copies of Asanteman Calendar 2009 ! A full colour A2 (40cm x 60 cm) laminated photo calendar, illustrated with 13 exclusive photos of the King of Ashanti, Otumfuo Osei Tutu II, by award-winning Paris-based Ghanaian photographer and designer, Jake Kwaku Yirenkyi Anderson. Meet the artist in person for your 'autographed' calendars at a special ceremony in Paris soon. Contact us or Ghacif (info@ghacif.com) for more information. A new President elected in Ghana ! 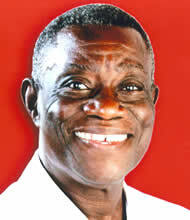 Opposition presidential challenger John Atta Mills has won Ghana's presidency at his third attempt, returning the National Democratic Congress (NDC) founded by former President Jerry Rawlings to power after eight years out of office. The chairman of the Electoral Commission of Ghana, Kwadwo Afari-Gyan, announced in Accra on Saturday that Atta Mills had won 50.23 percent of the vote, while Nana Akufo-Addo of the National Patriotic Party (NPP) won 49.77 percent. The African Elections Project (AEP) reports from Accra that the commission's certified results showed that the NDC won 4,521,032 votes and the NPP 4,480,446 votes. The commission said 72.91 percent of the country's 12,472,758 voters had cast ballots. Havana Cafe Party on 24th December : you are invited ! 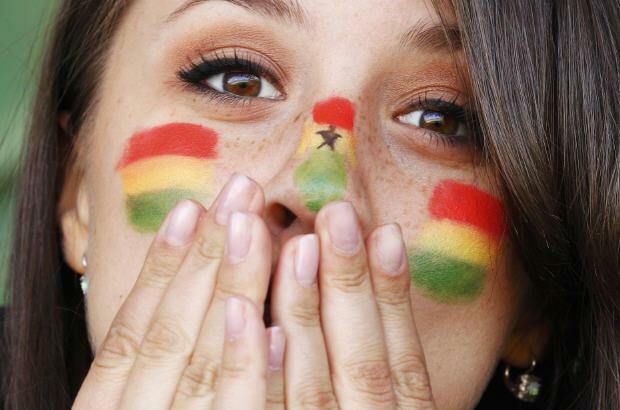 Brand New : the 2009 edition of the 'Petit Futé' French Guide on GHANA ! Freshly printed, the latest edition of the only guide on Ghana written in French : lots of 'what to do', 'what to see', so that you enjoy your stay in Ghana ! 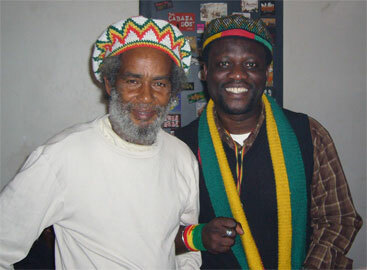 High-Life Reggae Night with Kwesi SELASSIE at Toulouse ! 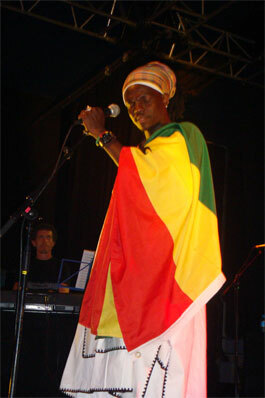 In a last minute arrangement to express Ghana-Guinea friendship and solidarity due to this years' 50 anniversary celebration of Guinean independance, SANKOFA managed to get Ghana-Canadian reggae maestro Kwesi SELASSIE to share the stage with Toulouse based Guinean reggae star SOULEYMANE in a concert that took place on the 24th of october at the Havana Cafe in Ramonville, a suburb of Toulouse. 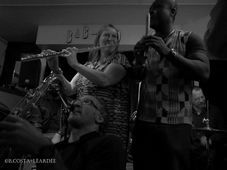 Though attendance was below expectation, the two artists and their musicians entertained the sparsely crowd to a spectacular dub soul, funky and high-life reggae tunes mostly from their latest albums. Most of the spectators left with a copy of these new albums personnaly signed by the artists. SELASSIE and SOULEYMANE resolved to collaborate for another joint show next year, probably touring other cities in France. We look forward to promote these artists again in the near future. Enoch EFFAH : stronger than ever ! Saturday 11th October, “la Maison des Associations” of Toulouse was thrown into a festive mood draped in the colours of Africa, on the occasion of the launching of a one week photo exhibition under the theme « Ghana, country of Gold and Kente » organized by SANKOFA. Mr. Jean-Paul MAKENGO, deputy mayor of Toulouse in charge of Socio-cultural diversity and integration, appreciated this unprecedented and exhilarating image of Africa, through the eye of the photographer Jake Kwaku Yirenkyi ANDERSON on traditions very present in a country which was called before its independence, in 1957, the Gold Coast. 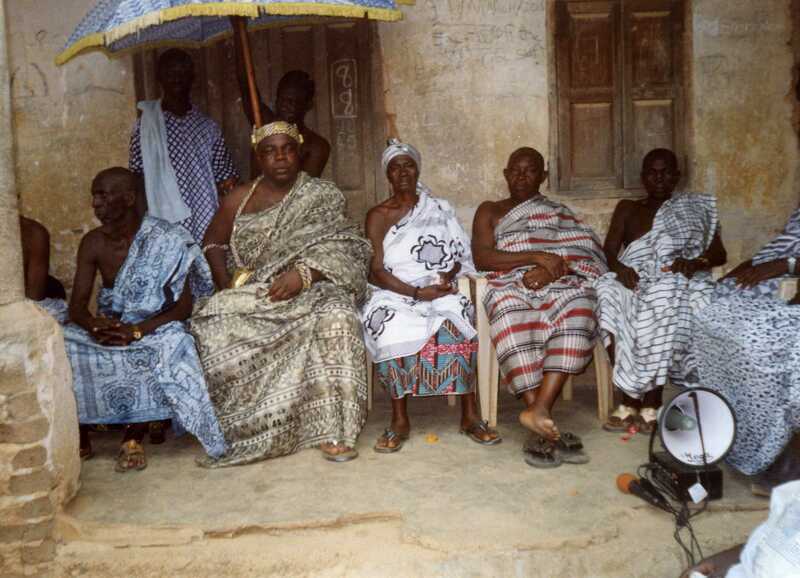 And gold, there is always in Ghana, as testified by the golden jewels and ornaments of the traditional leaders and their court when they strut about, whilst also draped in the precious hand weaved Kente clothes, on festive occasions which can gather thousands of people. Jake's photographs radiate energy and life, and their realism draws us away in a festive mood. 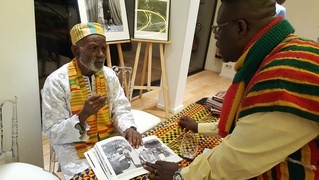 After a visit of the exhibition, commented by the author, the numerous invited guests met around a friendly cocktail which extended into the night, interpose with steps of traditional Ghanaian dance and “Highlife”. Many thanks to all those who joined us for that special event, especially Michael OSEI-MENSAH, president of GHACIF in Paris, Michèle AYISI, president of the Batabi Oyoko Akwaaba association in Bordeaux, and Kofi ANSAH, founder of the Kundum traditional group in Bordeaux too. 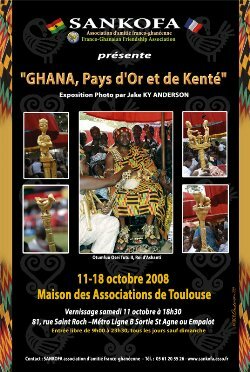 "Ghana , a country of Gold & Kente"
SAM'AFRICA from 05th to 07th september 2008 : SANKOFA was there ! Pictures of the event available now : just click here ! 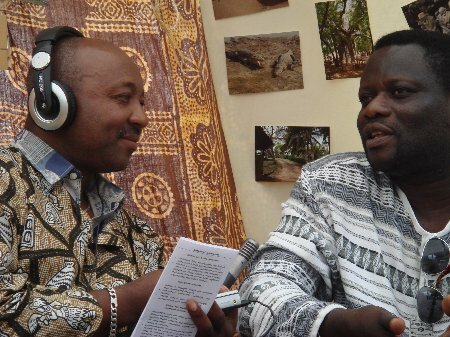 Ghana happened to be the star, the Black Star, of the excellent radio programme "L'Afrique Enchantée", on France Inter radio this week ! Please don't cry : if, like us, you missed that great opportunity to travel and dream cheap on High Life rythms, a magic click on the links below will take you abroad, far far far away toward the Gold Coast. Enjoy the trip then, and give us some feed back ! 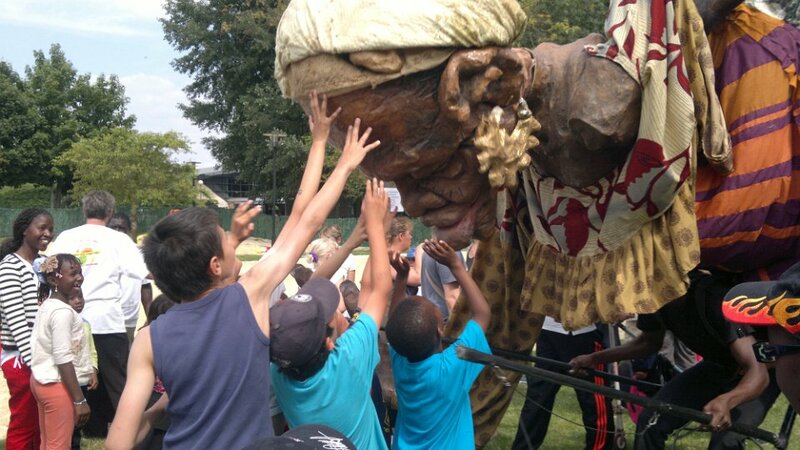 The african festival of Launac went on from 5th to 6th July. SANKOFA presented a Ghana stand, with the friendly participation of two other associations : ANKAFUL and ORINOKO. 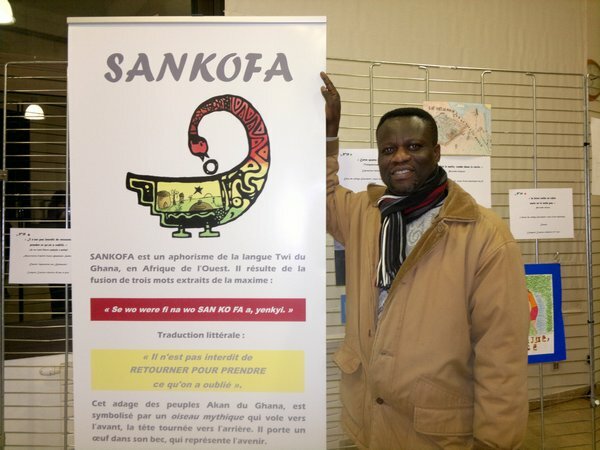 The President of SANKOFA, Mr Alfred OHENE-AKONOR, returned last Wednesday (26/06) from Brussels Belgium after participating in a 2 day (23-24 June, 2008) finalists event of the World Bank initiated Development Marketplace for African Diaspora in Europe (D-MADE). This distinctive programme seeks to showcase and celebrate some of the admirable efforts that seek new ways to reduce poverty in sub-Saharan Africa, led by its own children : its Diaspora. D-MADE is a competitive grant program that rewards creative and innovative development projects through recognition, grant prizes, cross-learning and networking. The initiative aims at supporting best entrepreneurial ideas by African Diaspora residing in Europe for projects implemented with a partner in sub-Saharan Africa. The theme for this first edition is “Promoting Diaspora Investment Projects and Innovative Entrepreneurial Activities in Africa”. 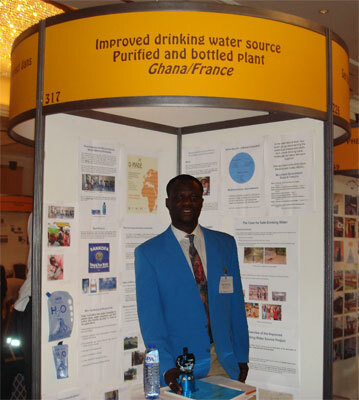 SANKOFA reached the final stage of the competition of 70 finalist projects (there were 6 from Ghana) after its project on ‘Improved Drinking Water Source’ was chosen from a pool of 507 applicants who responded to an open call for proposals during the fall of 2007. Sixteen laureates were finally selected and awarded grant prizes ranging from €15,000 to €40,000. The rest of the finalists all received a certificate of recognition for their business ideas. 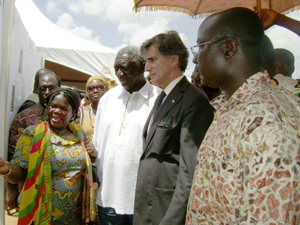 His Excellency John Agyekom Kufuor, President of Ghana, and His Excellency Pierre Jacquemot, French Ambassador to Ghana, jointly cut the sod of the Kumasi Roads and Urban Development Project on Saturday 21st of June, 2008. The total cost of this project amounts to 37 million Euros. The objective of the project is to eliminate one of the main traffic bottlenecks at the entrance of the City through the construction of the south-east missing link of the ring road of Kumasi, the enlargement of the Lake Road and the construction of an interchange between the by-pass and the Lake Road. The heavyweight kickboxing world champion, french of ghanaian origin, received a heroe's welcome on his arrival at the Kotoka International Airport of Accra, on the 3rd of June. 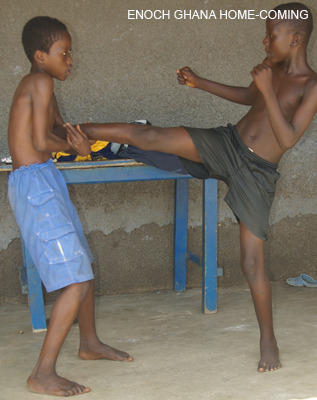 While back in France, Enoch intends to maintain the links with Ghana to help develop french kickboxing over there. In Ghana, the only sporting hall dedicated to that sport is named after... Enoch Effah ! 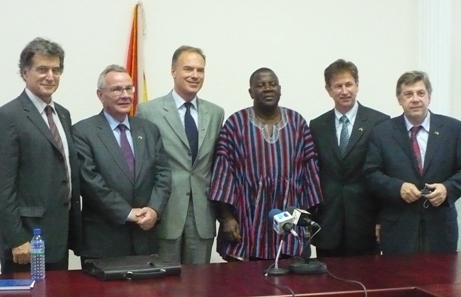 A delegation of four French members of Parliament paid an official visit to Ghana from Thursday 5th to Friday 6th of June. The delegation met the Vice President, Ministers at the Presidency, some members of Parliament, Hon. Gyan Baffour, Minister of State at the ministry of Finance and Economic planning. They visited the Campus of the University of Ghana at Legon where is situated the recently opened “Maison Française”. interactions with the French business community based in Ghana. 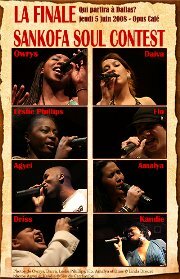 Friday 05th JUNE, Agyei Osei went on stage for the finals of the Sankofa Soul Contest. He didn't win, but his course was remarkable indeed. We'll hear from him again for sure ! See you then Agyei, and may your voice lead you far ! Toulouse MANDELA Football Tournament : Ghana won Bronze ! Saturday 31th May, 2008 the local Ghanaian football team of Toulouse (the Sankofa Flying Comets) won against Senegal (3-1) for the 3rd place in the 2008 MANDELA Football Tournament, an annual football competition regrouping local African football teams at Toulouse to foster unity and solidarity among the African communities. On Wednesday April 23rd 2008, the Ambassador of France, H.E. 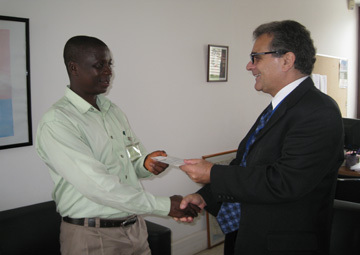 Pierre Jacquemot, and the Minister for Education Science and Sports of the Republic of Ghana, H.E. Pr Dominic Kwaku Fobih, were to sign a 2.7 million Ghana cedis (1.8 million euros) agreement to implement a three-year project to “improve the French language teaching in Ghana”. 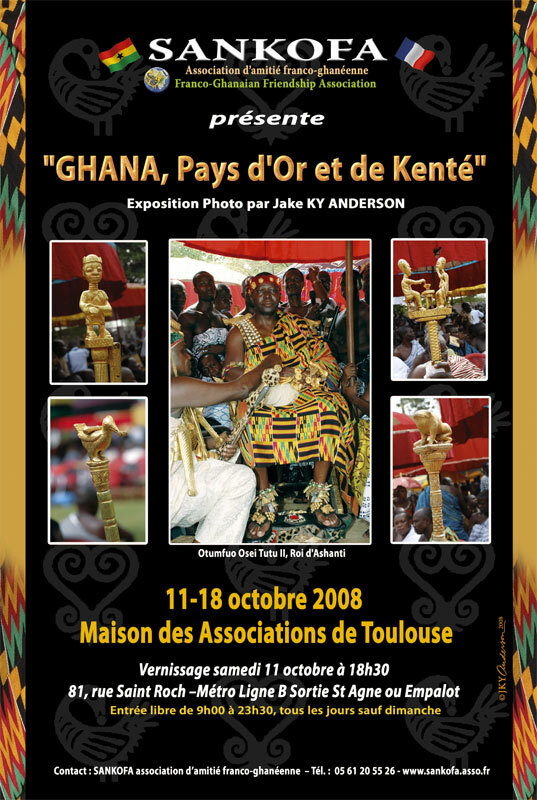 Saturday 19th April, the Ghanaian community of Toulouse gathered to celebrate the inauguration of the Asanteman Kroye Kuo, an association of the Ashanti ethnic group in Toulouse. 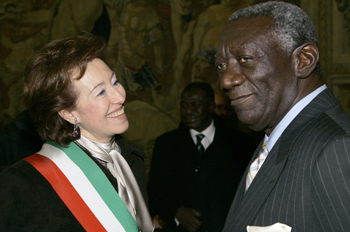 Paris, March 21st : President John Agyekum Kufuor has been named Chairman of the "Alliance for Africa Foundation", a new global effort at mobilising support to help the continent to unlock its potential and reduce poverty. The announcement was made at a well-patronised meeting with African Ambassadors in Paris, where the initiative was formally outdoored. The Foundation, whose priority focus is on capacity building in education with special emphasis on Vocational Training, health, agriculture and the public services is being promoted by influential leaders from across the world. Italy, a key driving force behind the initiative, has already committed 10 million Euros as seed money for its take off. 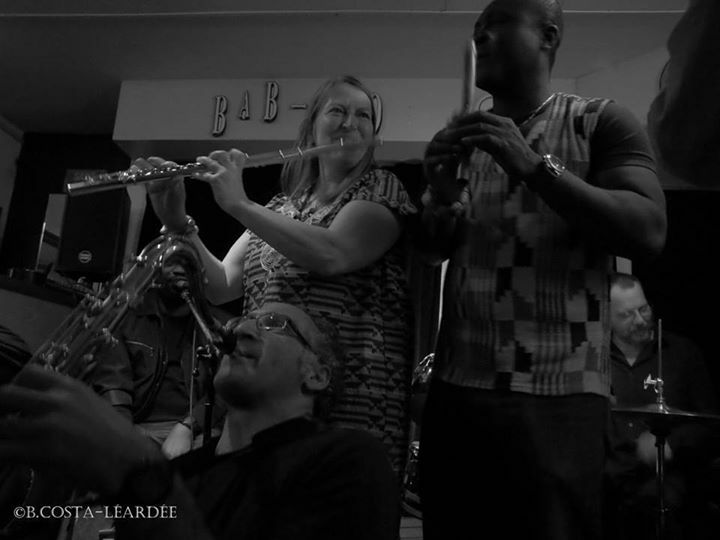 On March 20th, original events across the World took place for the International Day of La Francophonie, an occasion to celebrate the French language. In Ghana, the Francophonie was celebrated too. Let’s keep in mind that Ghana is an associated member of the 'Organisation Internationale de la Francophonie' and surrounded by francophone countries (Ivory Coast, Togo, Benin, Burkina Faso …). 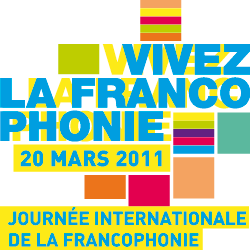 The International Day of La Francophonie contributes to solidarity, cooperation and peace in the world. The project of a French Centre with both academic and cultural missions on the Legon campus originated in 2005 in a discussion between the Vice-Chancellor and the French Ambassador. 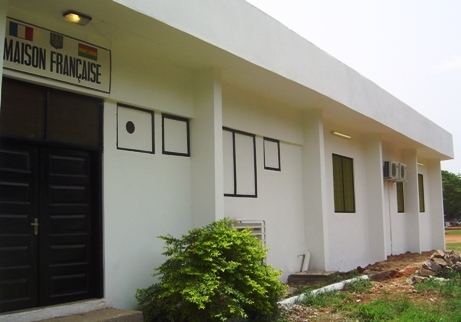 Following an agreement signed with the University of Ghana, the French Embassy has thus established the Maison Française. 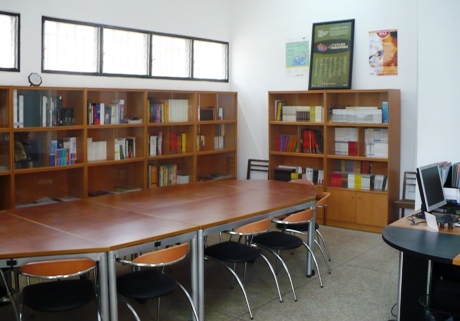 The facilities include a Resource Information Centre on the pursuit of higher education studies in France, a digital language laboratory with a sitting capacity of 10 dedicated to crash courses in French for Ghanaian students wishing to get their PhD from a French University in any subject, and two offices for visiting lecturers from France or Francophone countries. The centre will also foster debates and provide a window for French and Francophone cultures thanks to its multipurpose room with a sitting capacity of 100 to be used for colloquia, theatrical performances and film showings, and its exhibition room. 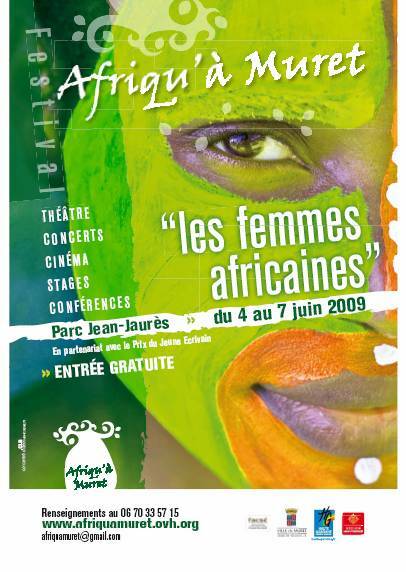 It was officially opened on the 20th March, 2008 on Francophonie Day, followed by the Award Ceremony of the Francophonie Contest, and a conference by Ivorian philosopher, poet and novelist, Tanella Boni on “the Challenges faced by writers in Africa”. 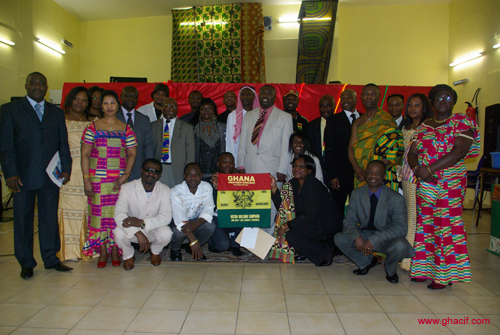 GHACIF celebrates the 51st anniversary of GHANA's Independence ! Max Romeo concert in Villeurbanne (69): more than 500 people to support Akuakrom project in Ghana ! The 11th of February, the association Back to Roots organised, in partnership with the music production label Sankofa Blackstar Music (Lyon), a gig with Jamaican roots reggae star Max Roméo. The proceeds of this concert will be given to the association in aid of its local development project in Akuakrom. 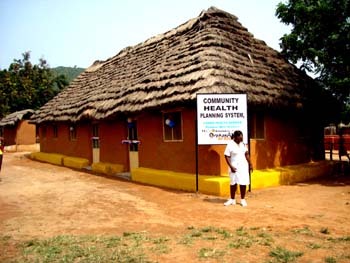 The main objective of the association Back to Roots is to improve the living conditions in the village of Akuakrom (centre of Ghana), by answering the primary needs of its population. After an initial trip of some members to Akuakrom in August 2007, a second trip is being planned for February 2008, to send computers and accessories to the village new school.